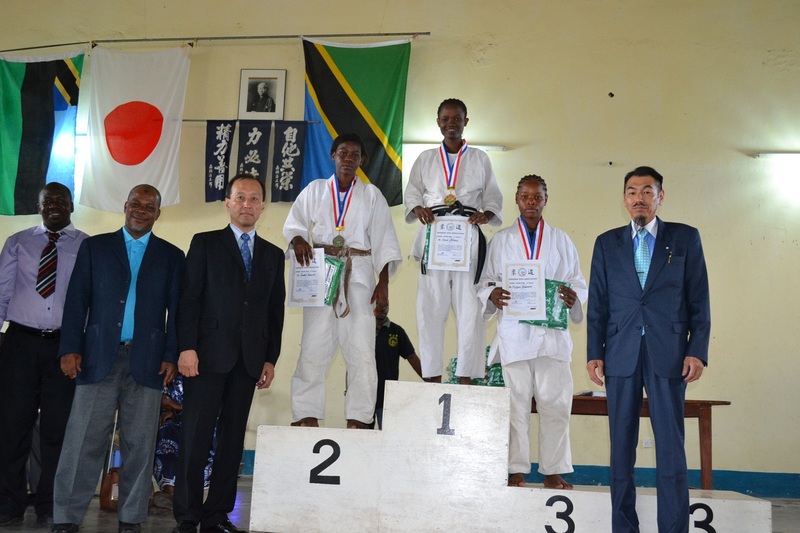 Zanzibar Judo Association (ZJA) organized the TANZANIA WEIGHT CATEGORY JUDO CHAMPIONSHIP 2012 on 15/07/2012(Sun) AM10:00 - PM4:30 at Zanzibar Budokan, in Amani National Stadium, Zanzibar. 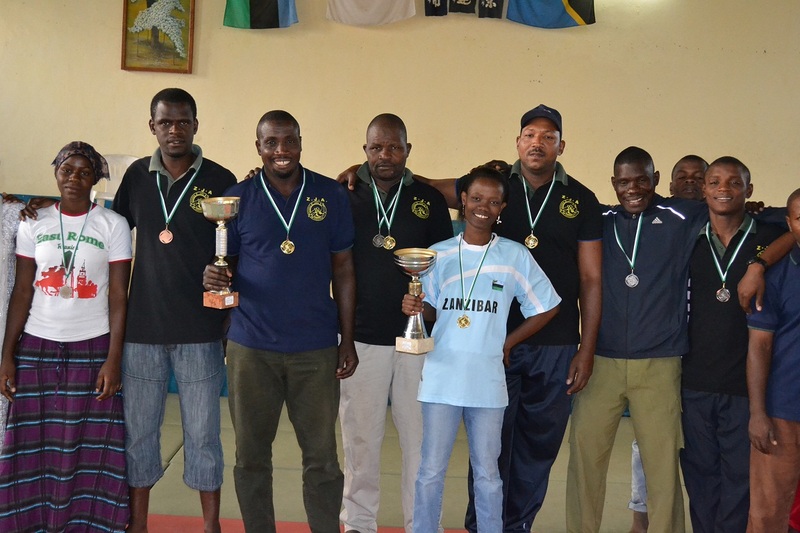 ZJA also organized for Team Event on the same day. 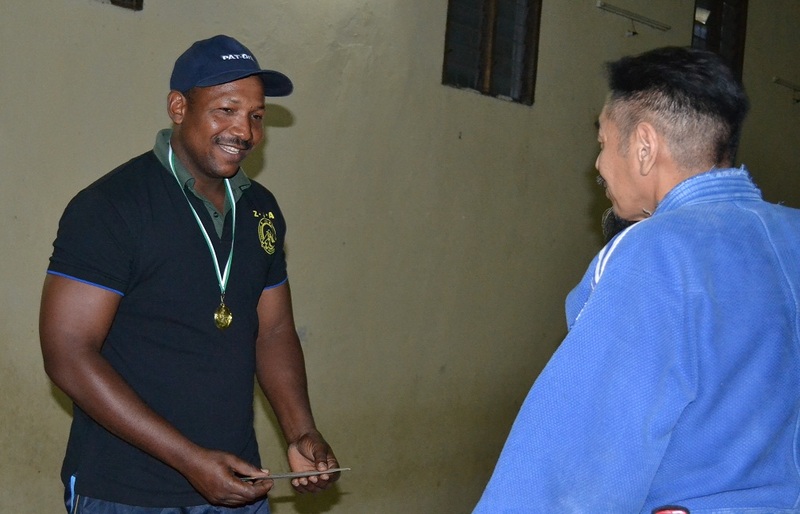 White Elephant team (5playres) won, and Red Lion team (5players) lost. 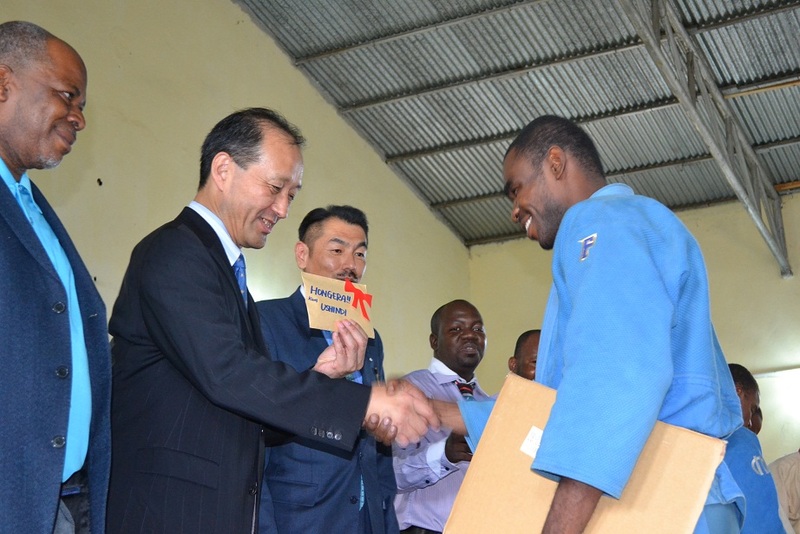 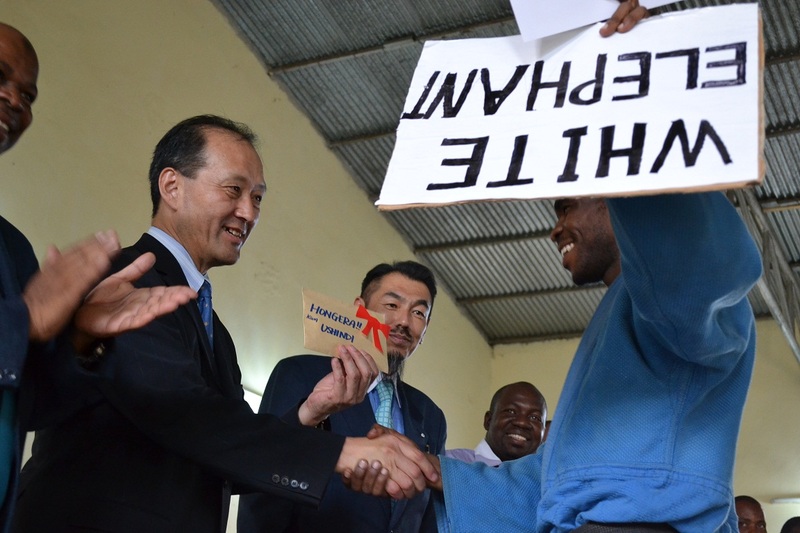 Winner team, White Elephant got Tsh500,000/: from Ambassador, Embassy of Japan, Mr.Masaki Okada. 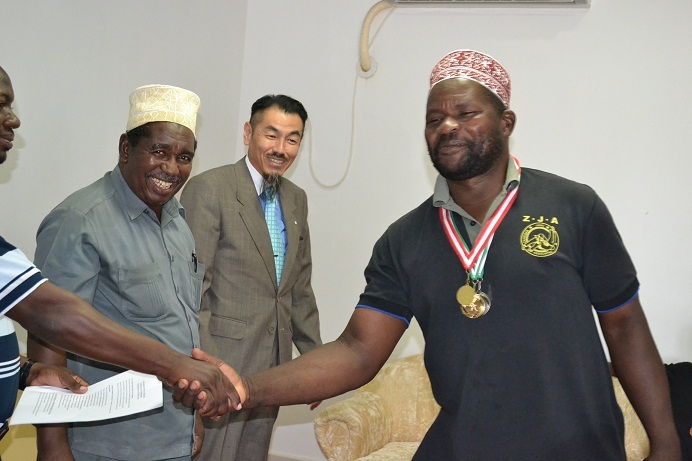 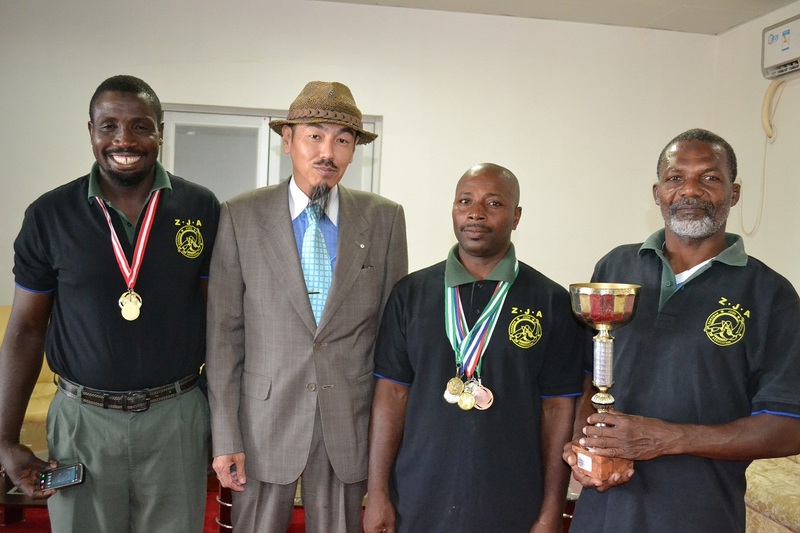 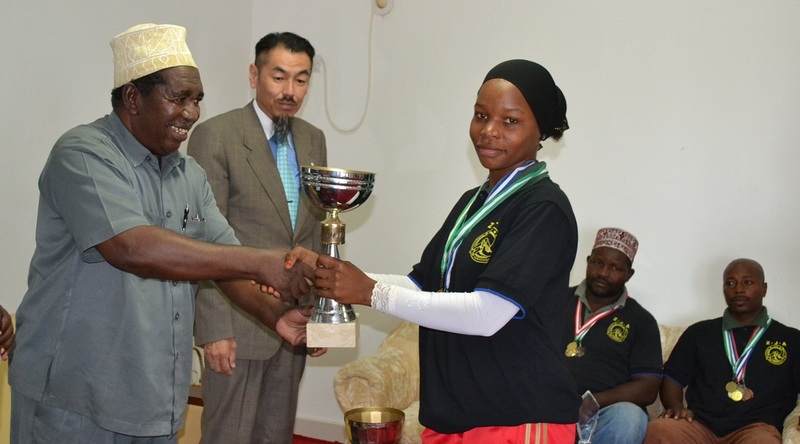 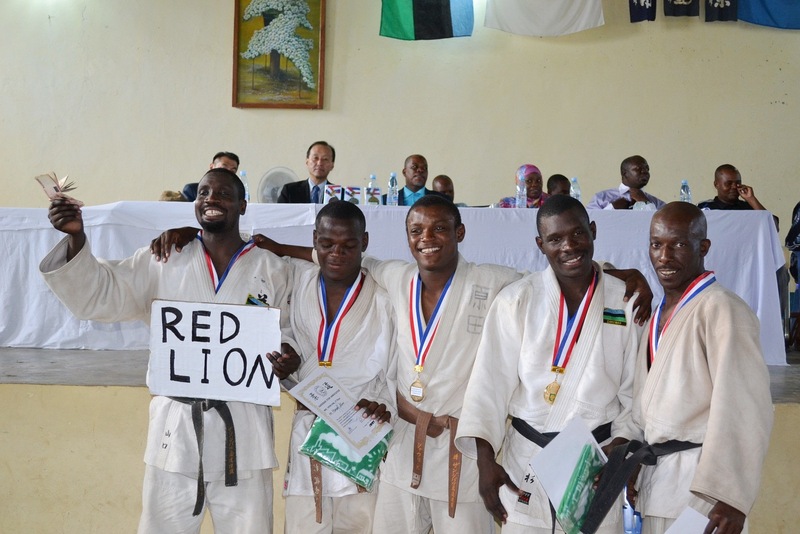 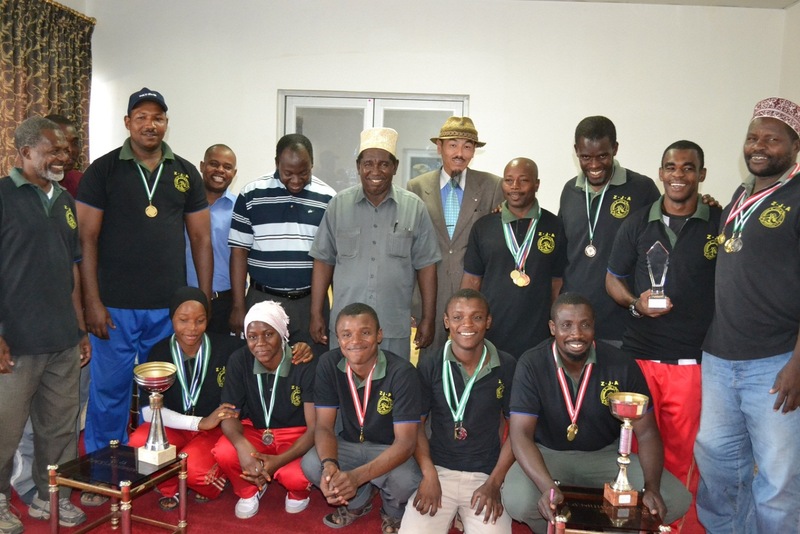 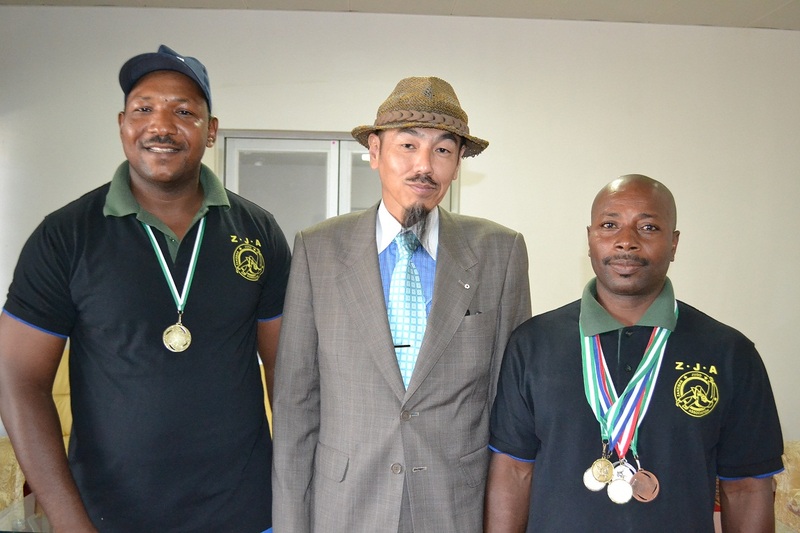 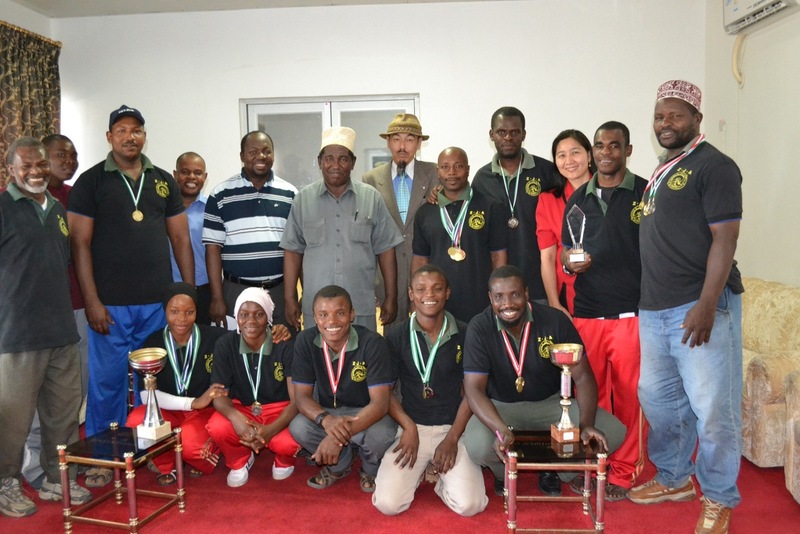 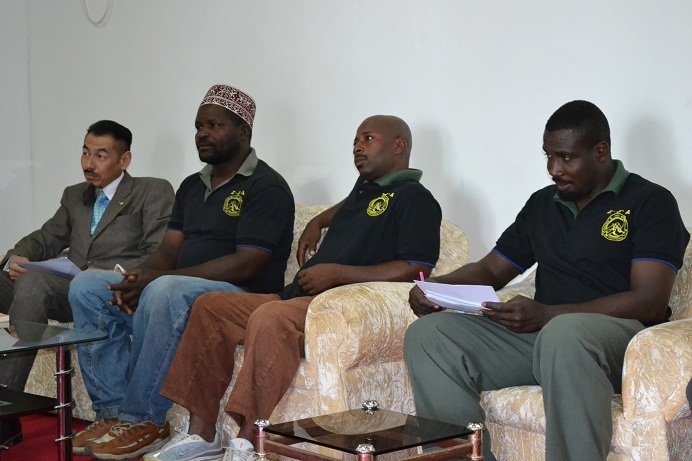 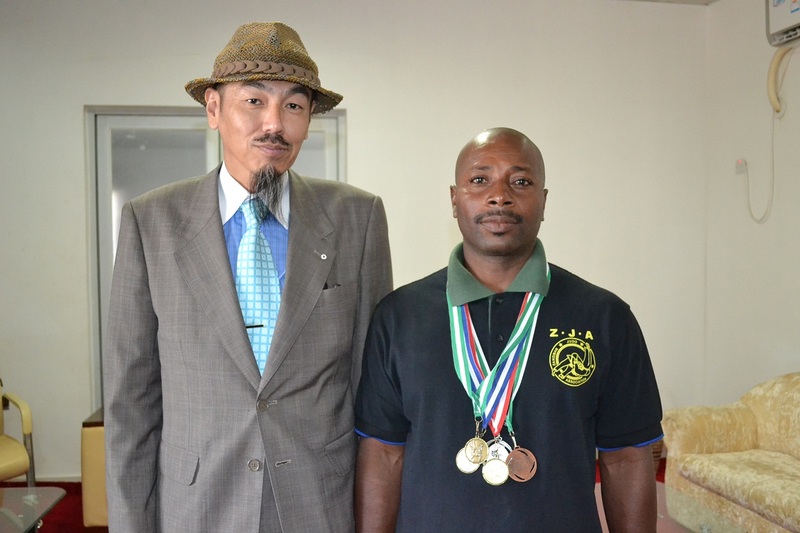 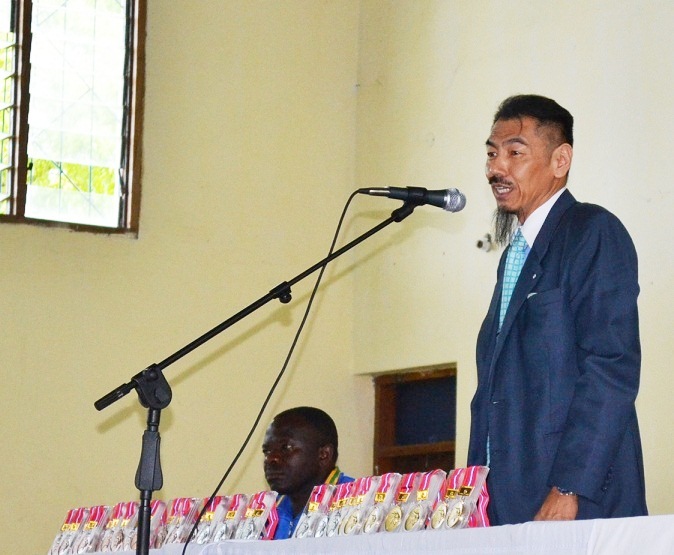 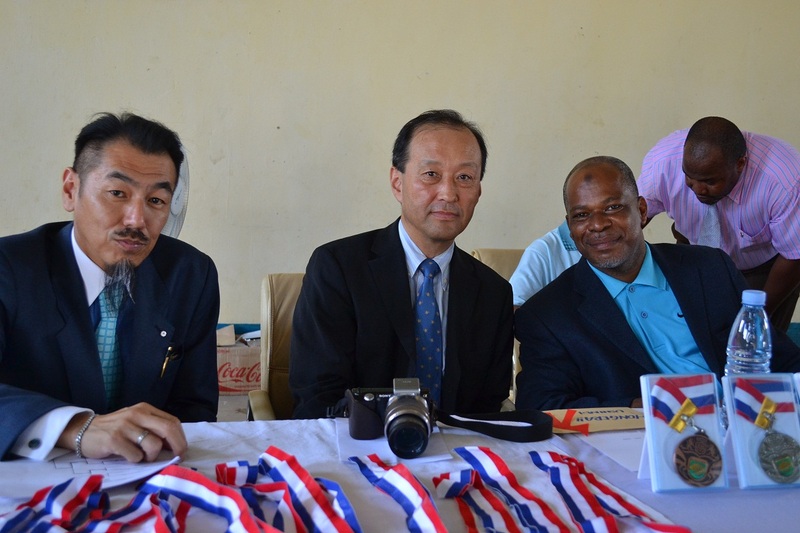 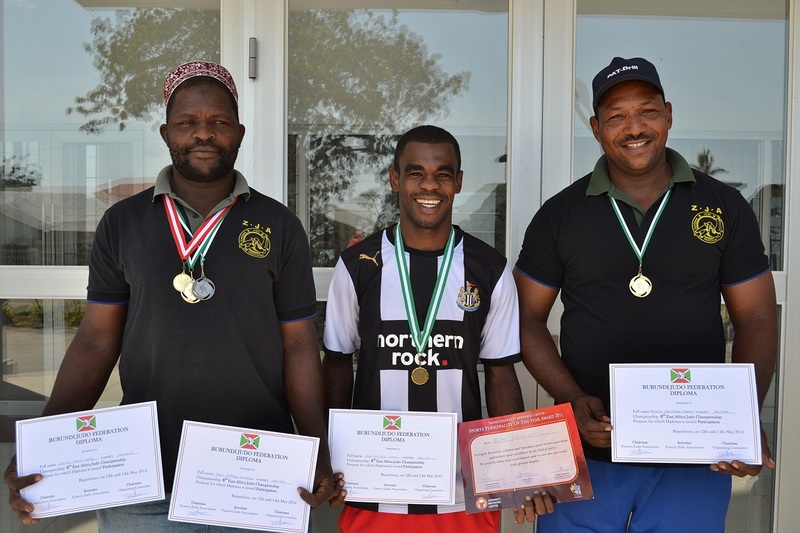 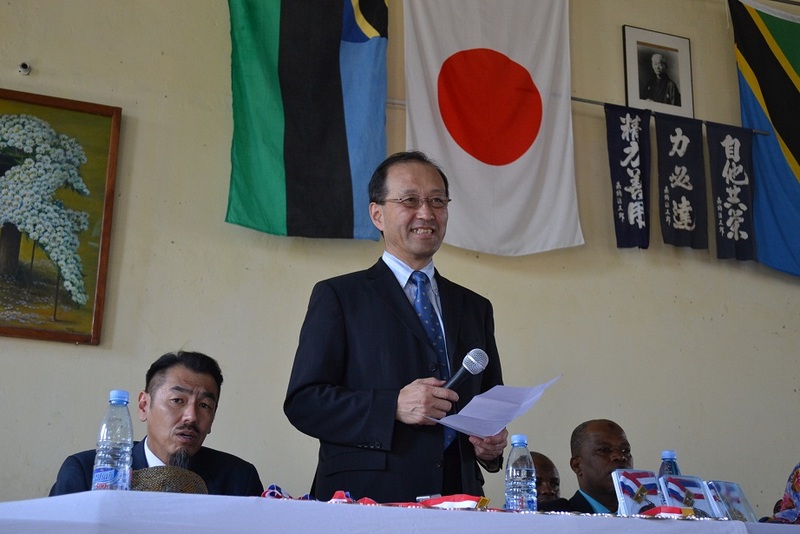 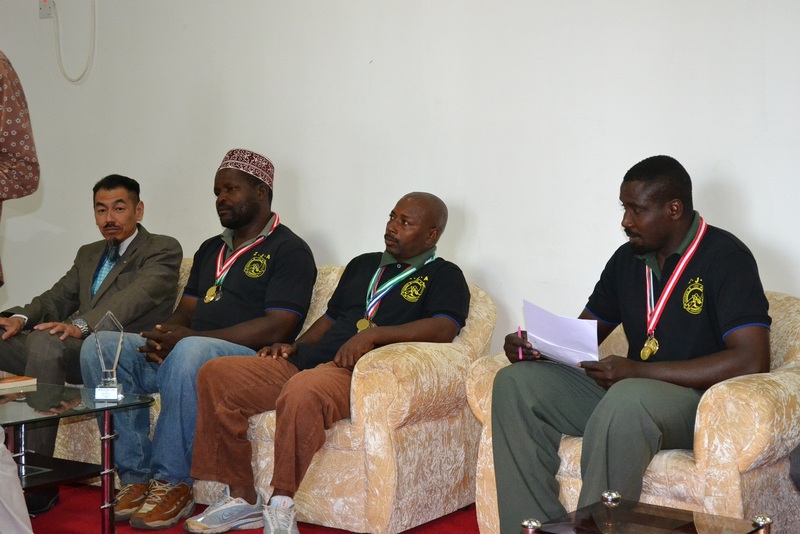 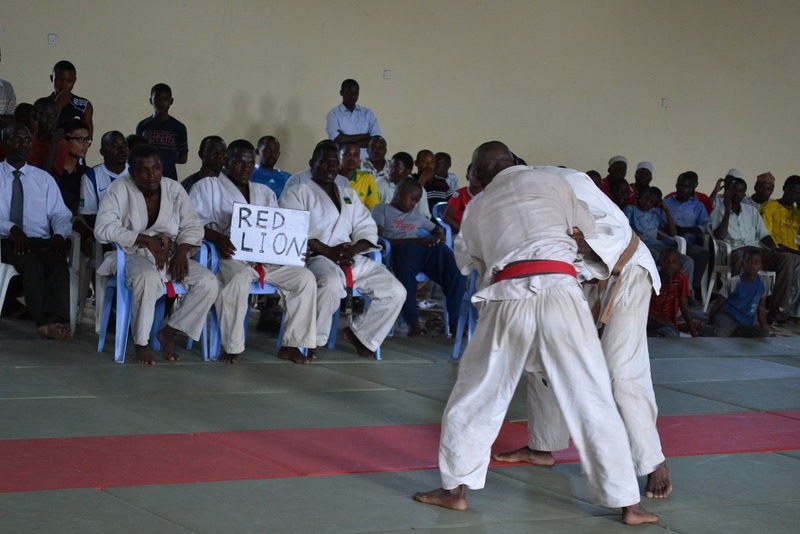 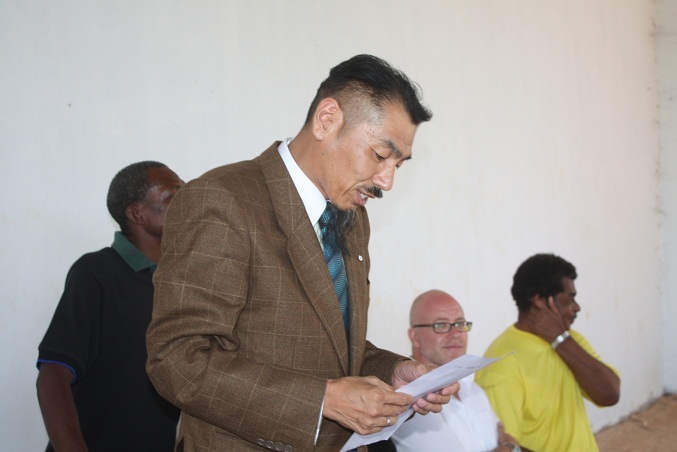 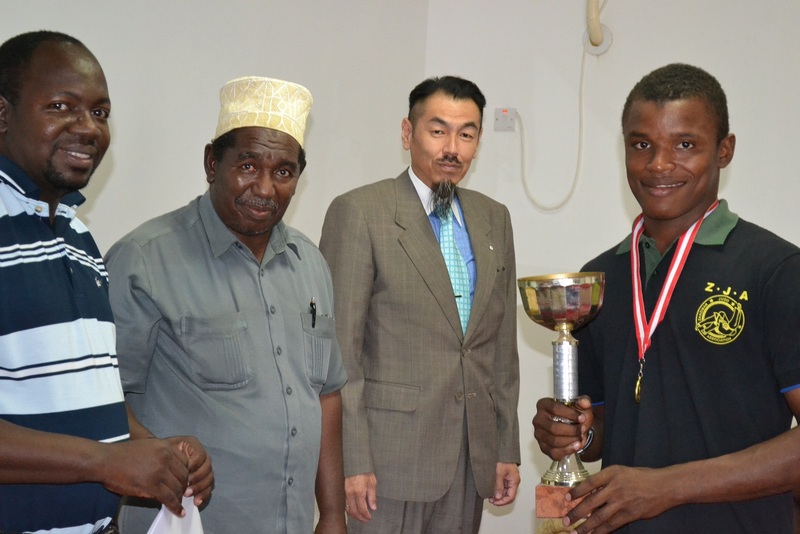 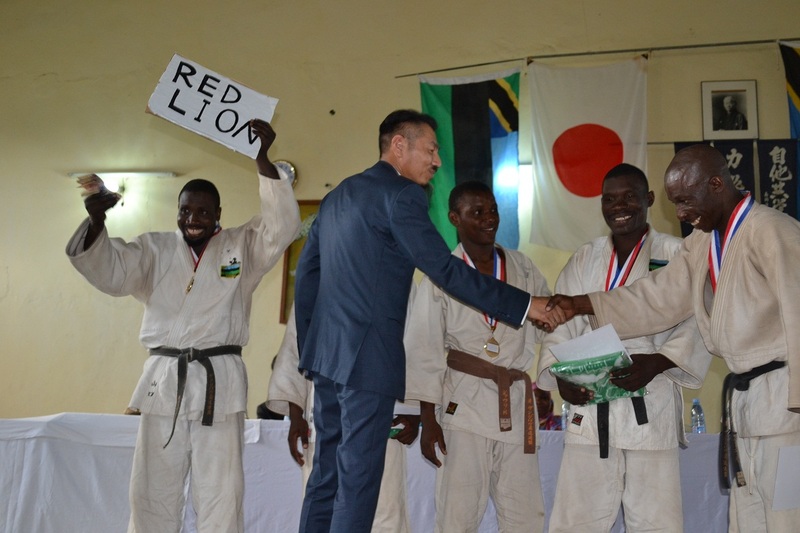 Loser team, Red Lion got Tsh250,000/: from president of Zanzibar Judo association, Mr.Tsuyoshi SHIMAOKA. 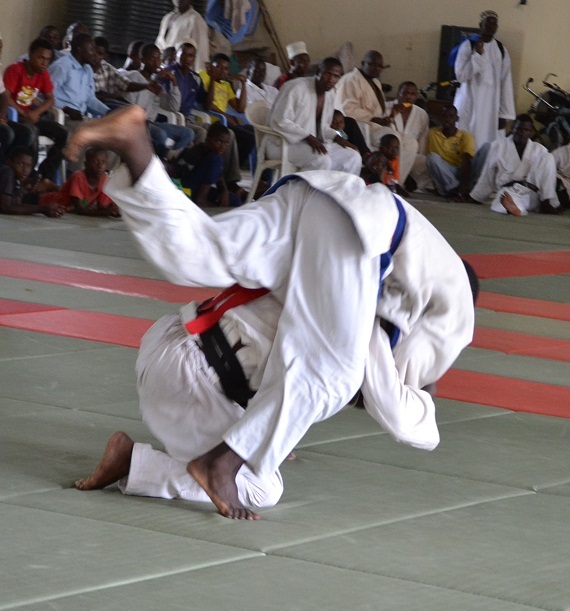 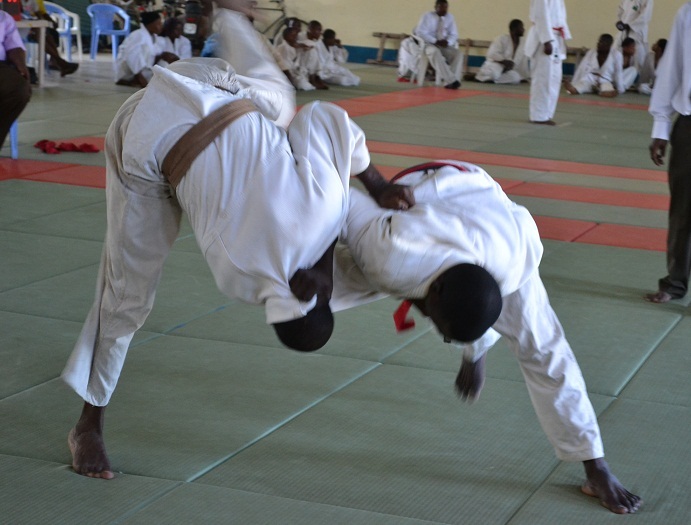 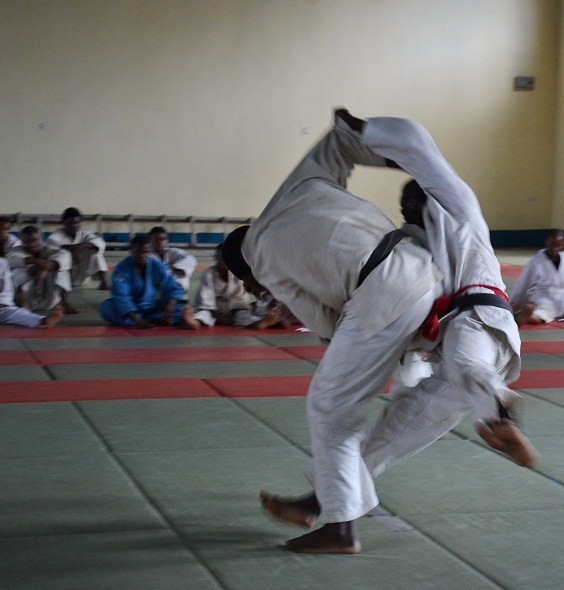 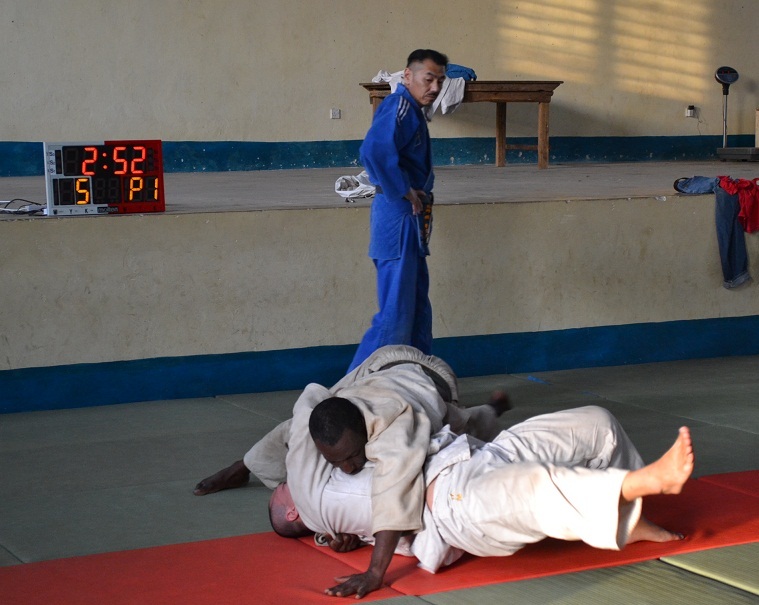 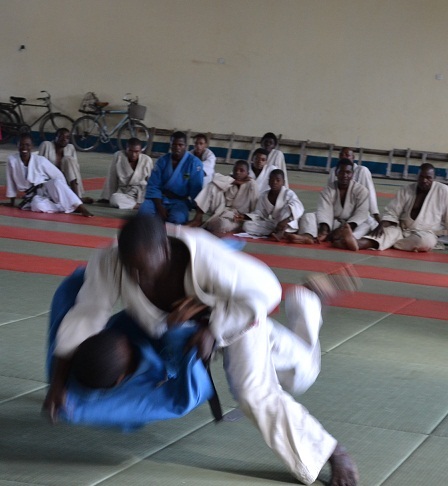 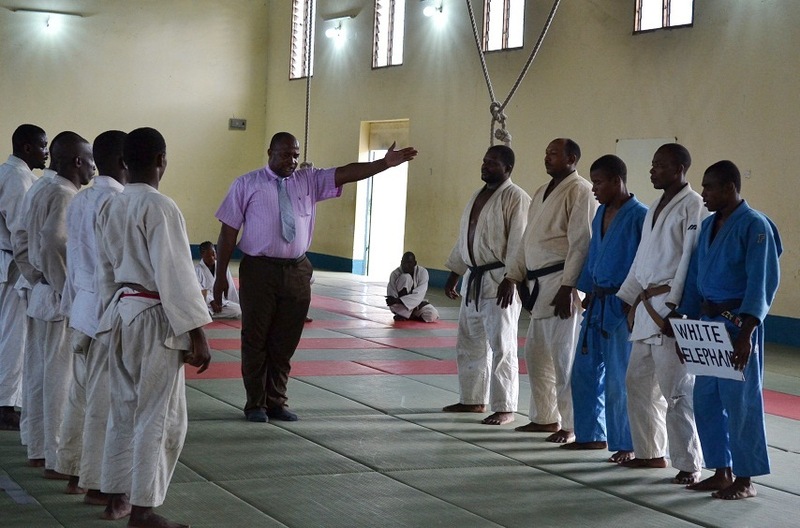 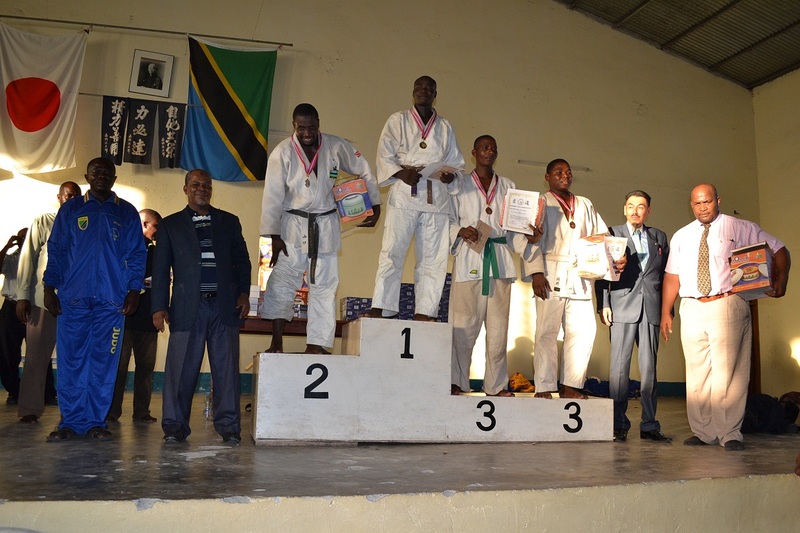 It is Individual weight category National Judo Championship in Tanzania and one of Qualifying competition for selecting the National team 2013. 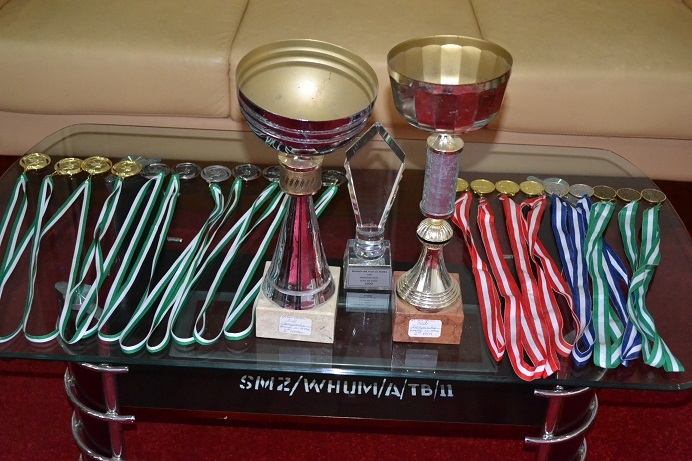 Here are the Individual Results and their pictures. 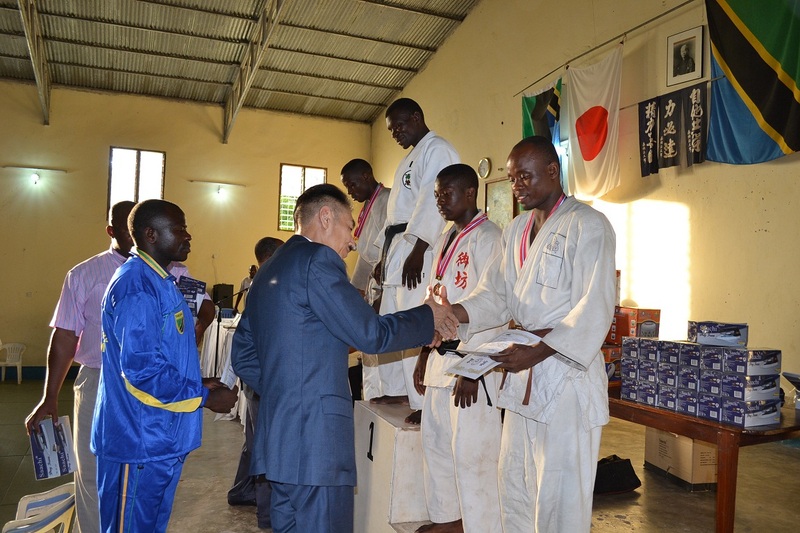 *1st 2nd 3rd winners got Medal, Certificate and Blanket. 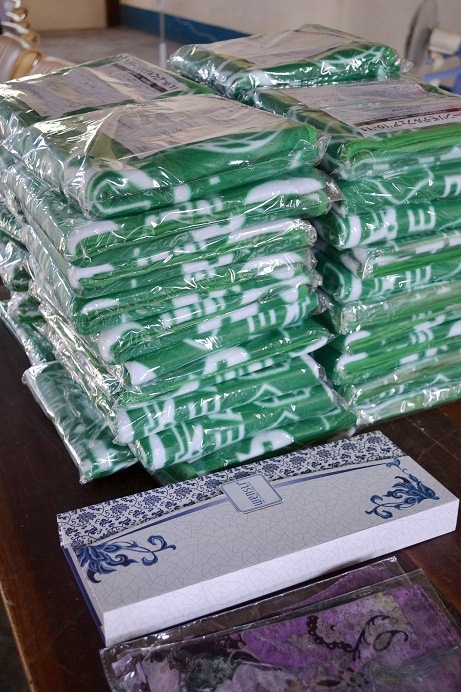 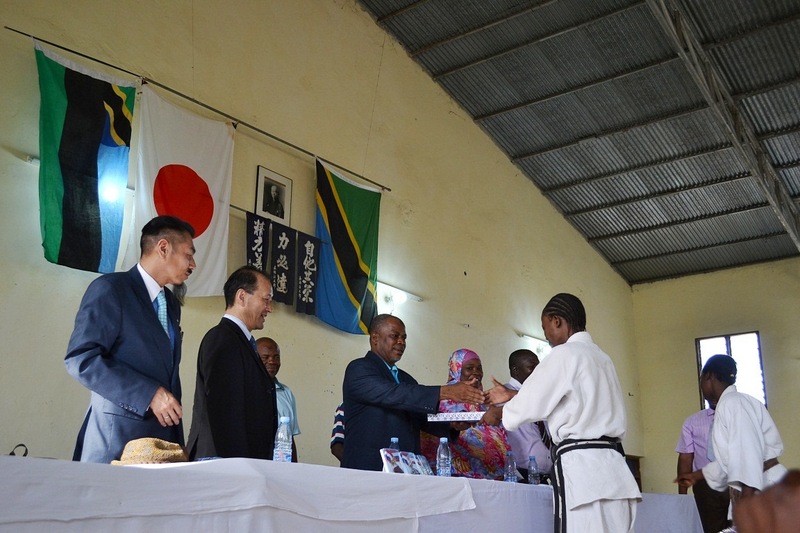 *All Participators got gift (blankets) contributed by DAIKEN CORPORATION in Japan. 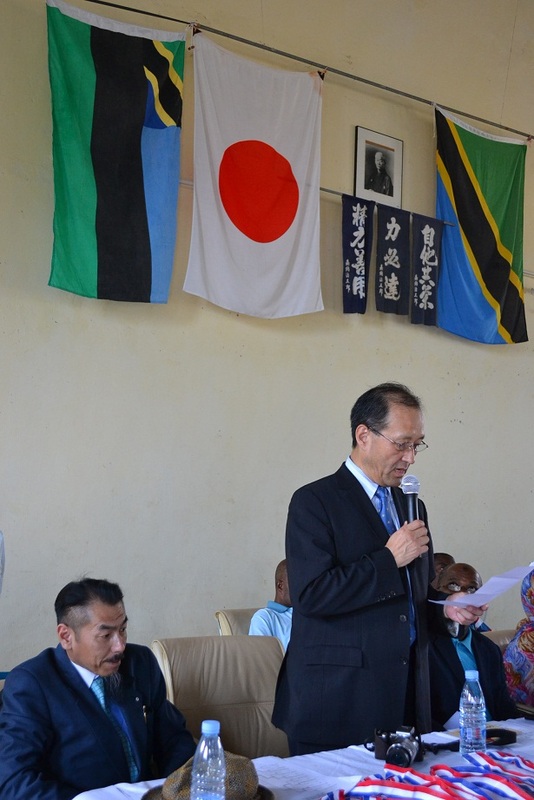 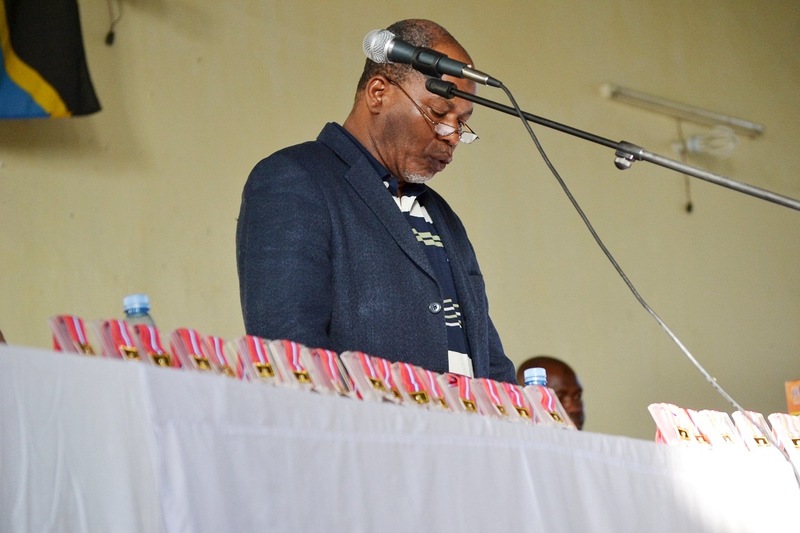 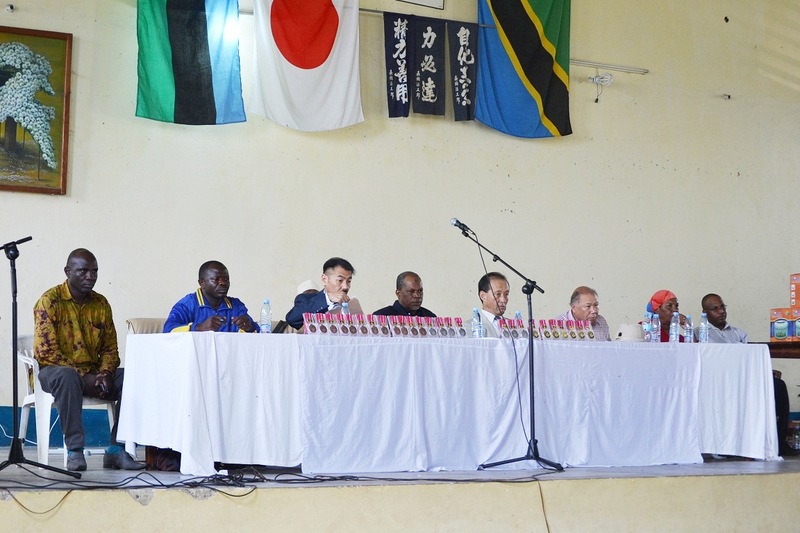 It was held by Ministry of Information, Culture and Sports with National Sports Council on 11/07/2012 at VIP Room Amaani National Stadium in Zanzibar. 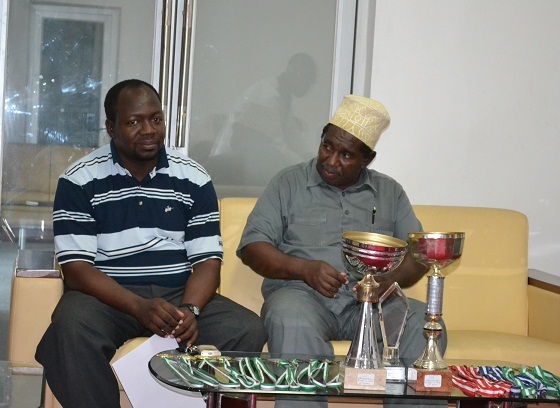 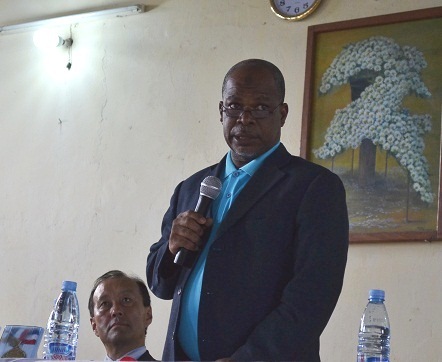 Honor Guest, Sports Commisionar, Ministry of Information, Culture and Sports Zanzibar, Mr.Mshindo. 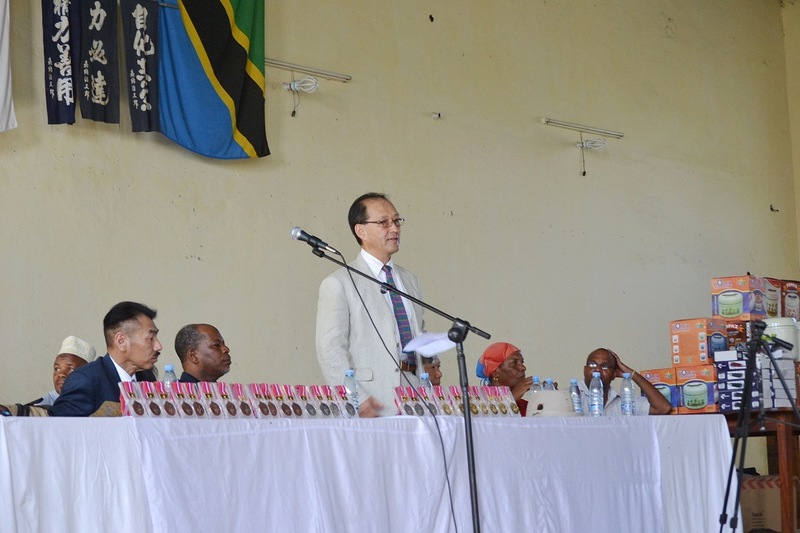 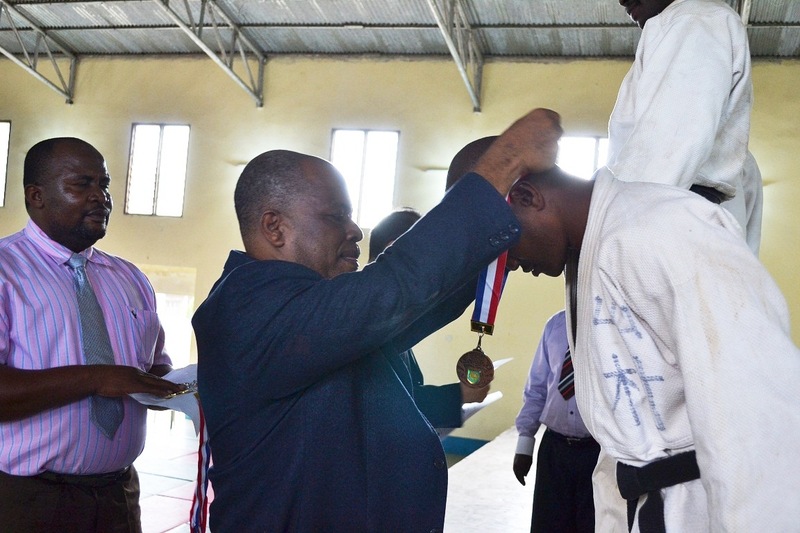 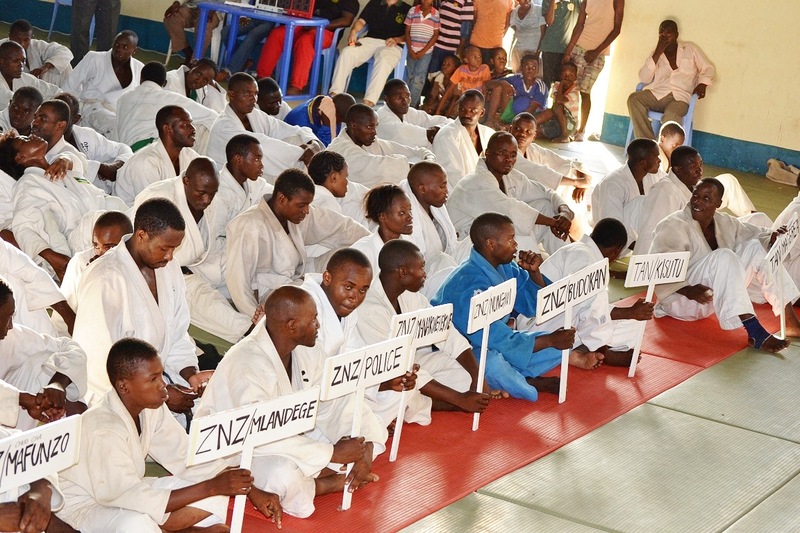 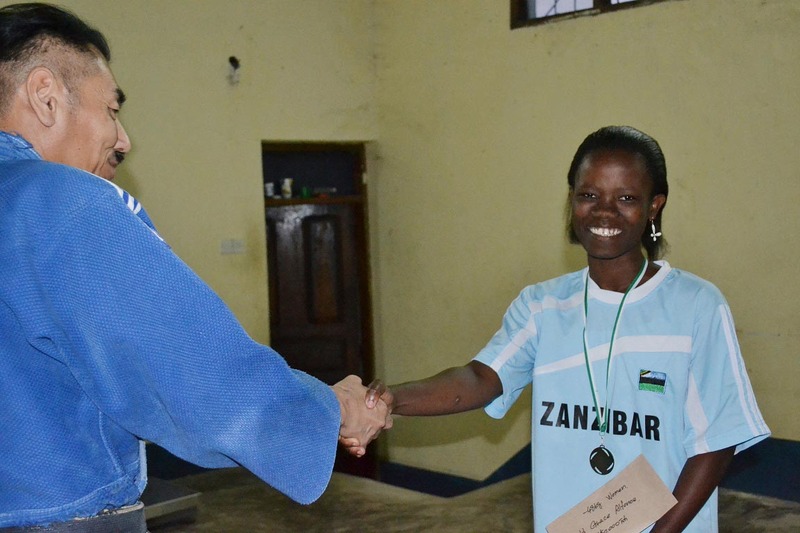 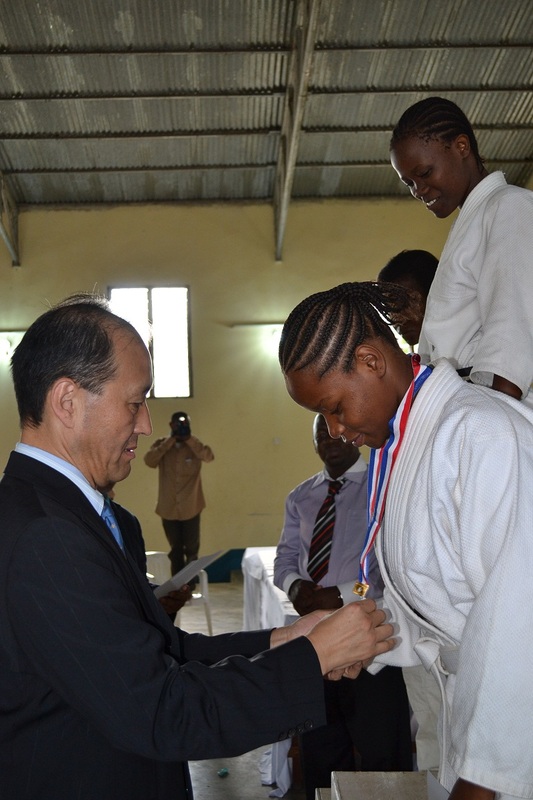 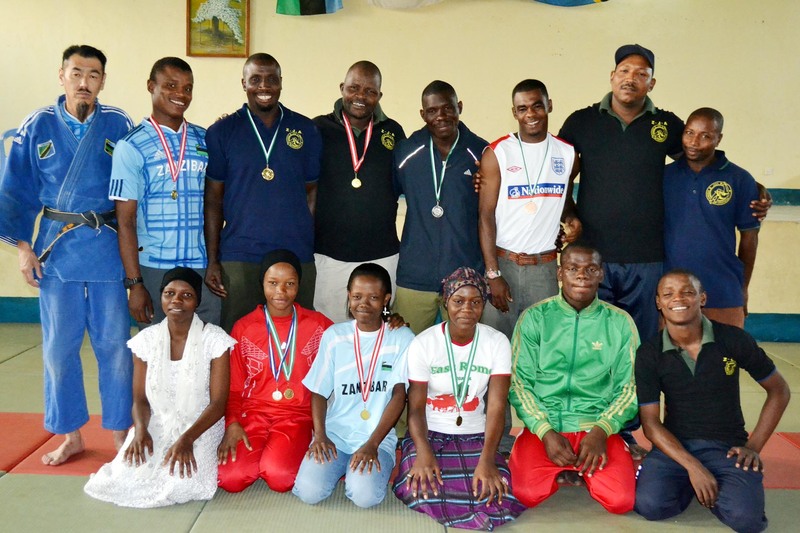 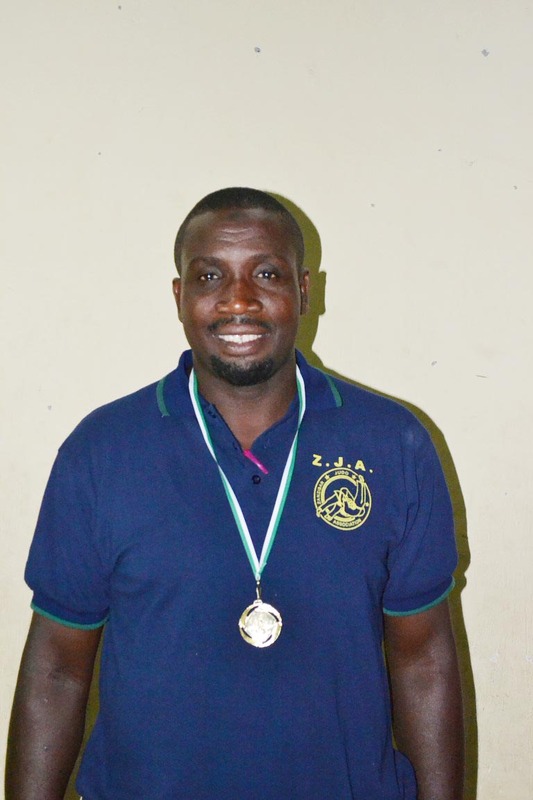 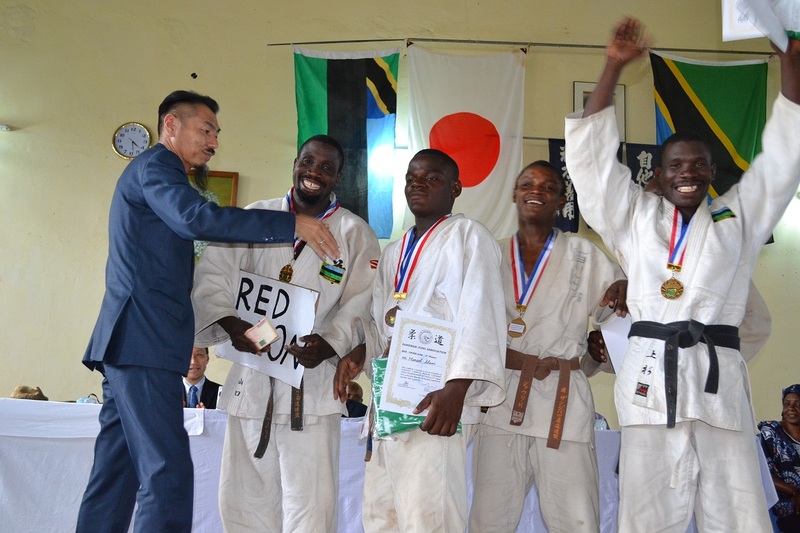 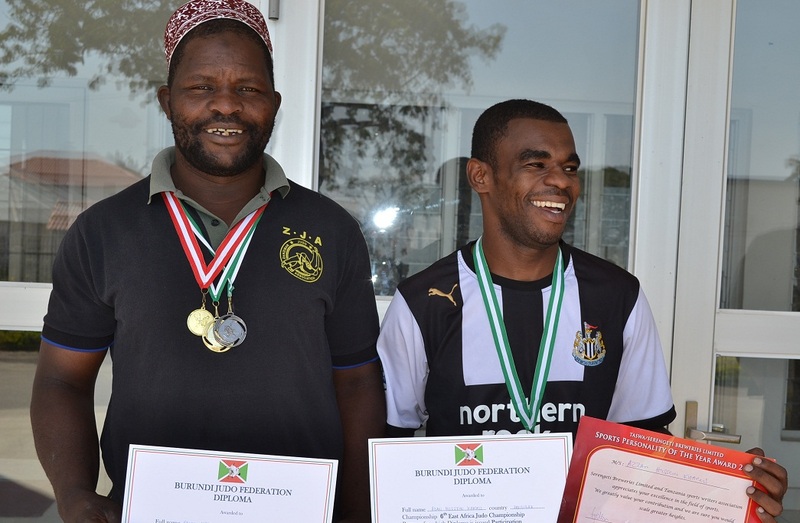 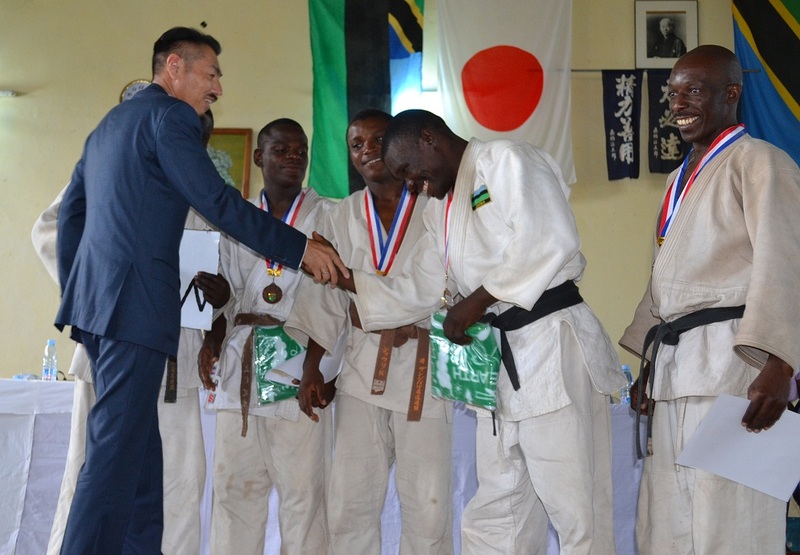 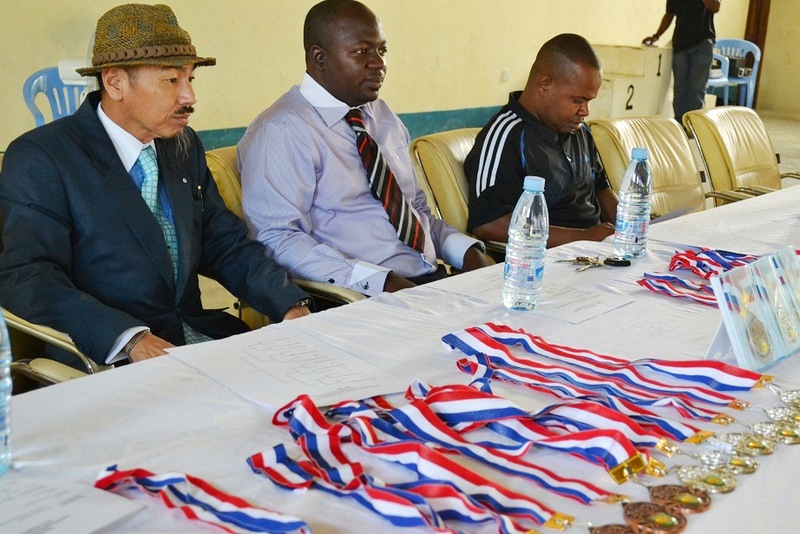 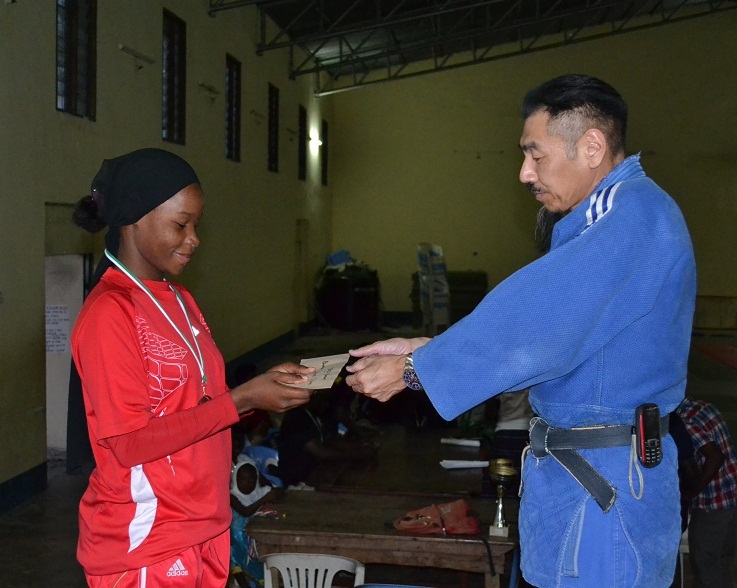 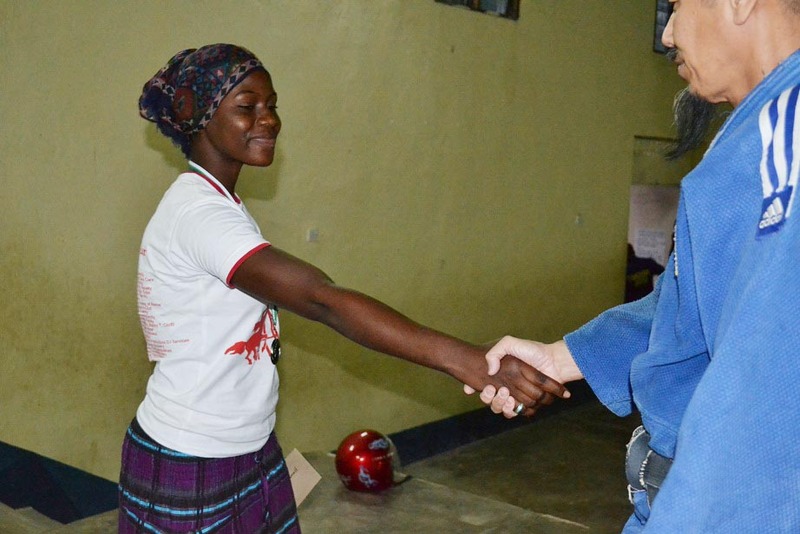 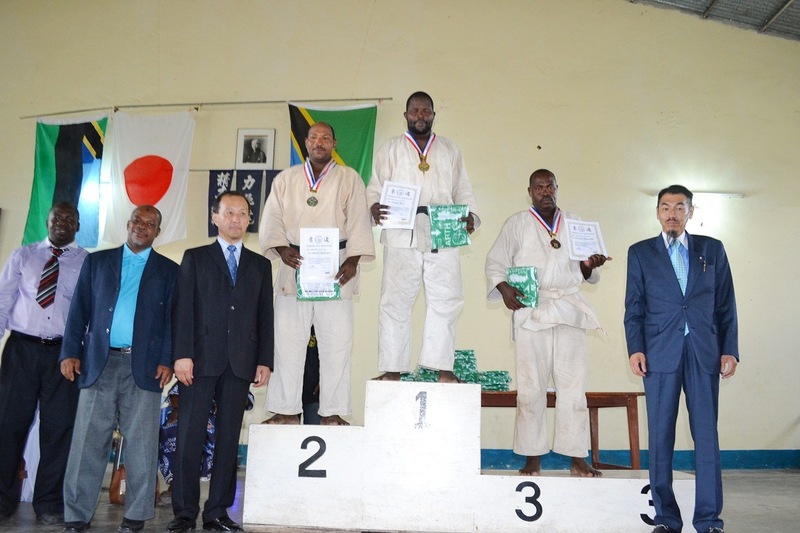 *All of medalists are awarded by Ministry for officially and Mr.Mshindo amepongeza sana jitihada ya Zanzibar Judo Team, hasa amepongeza sana sana kwa Zaznibar Women Judo! 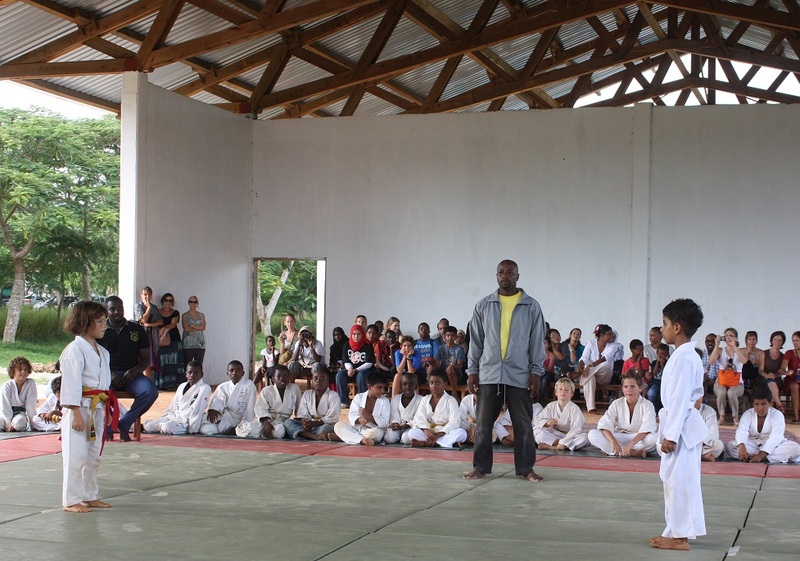 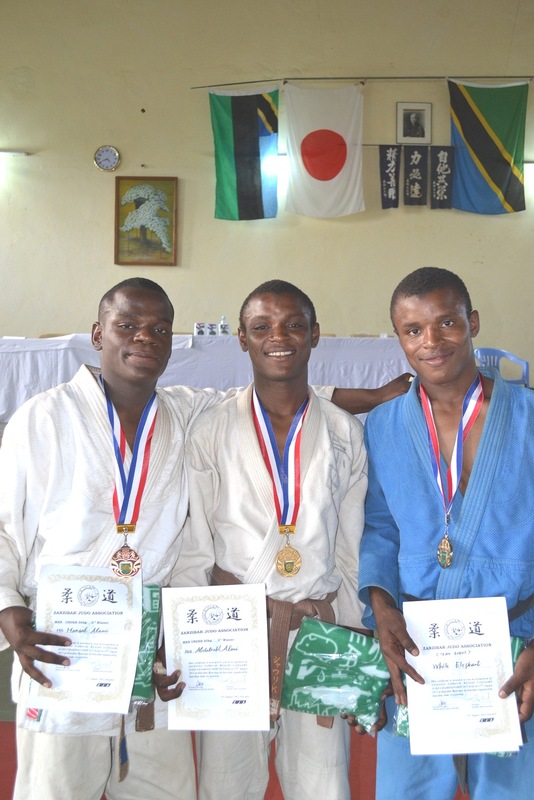 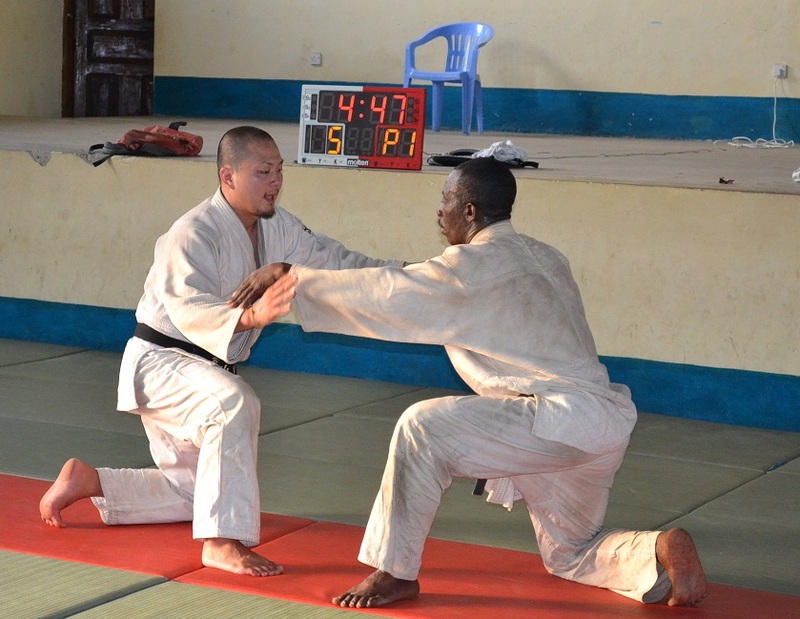 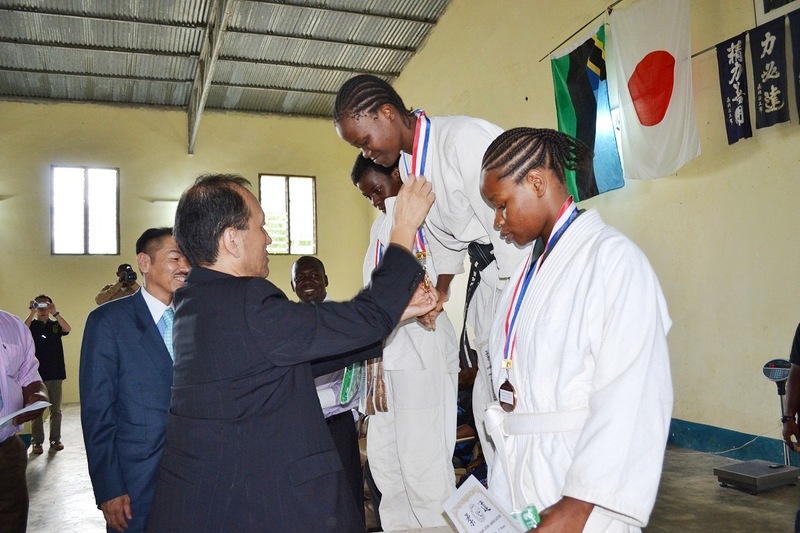 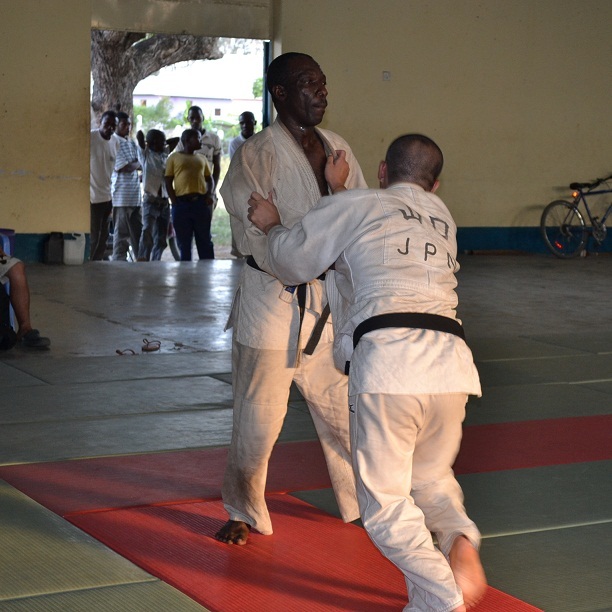 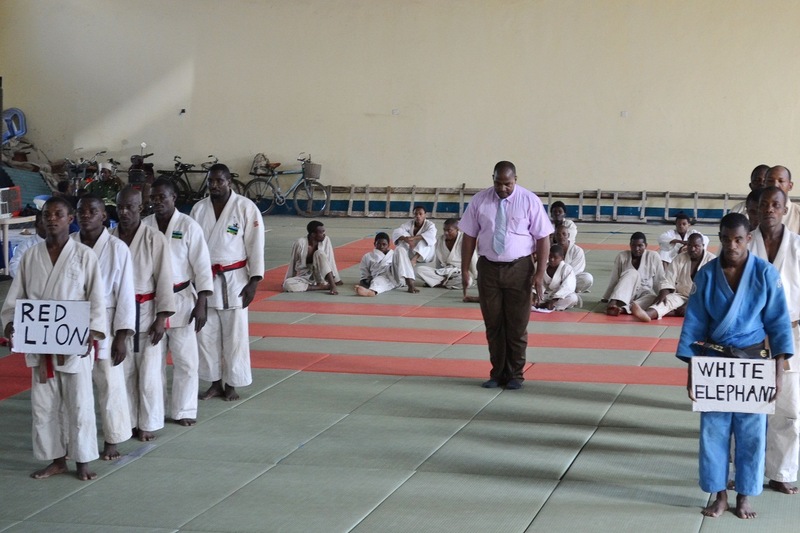 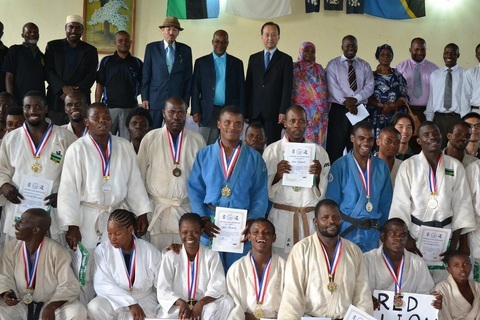 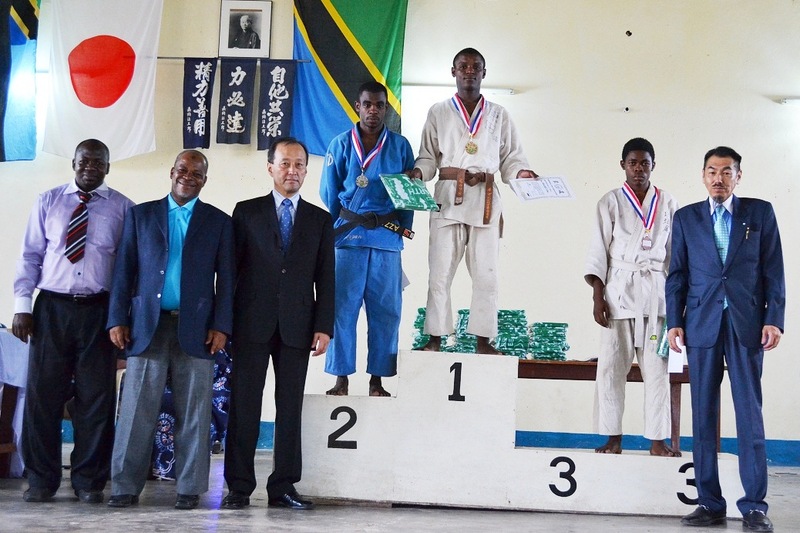 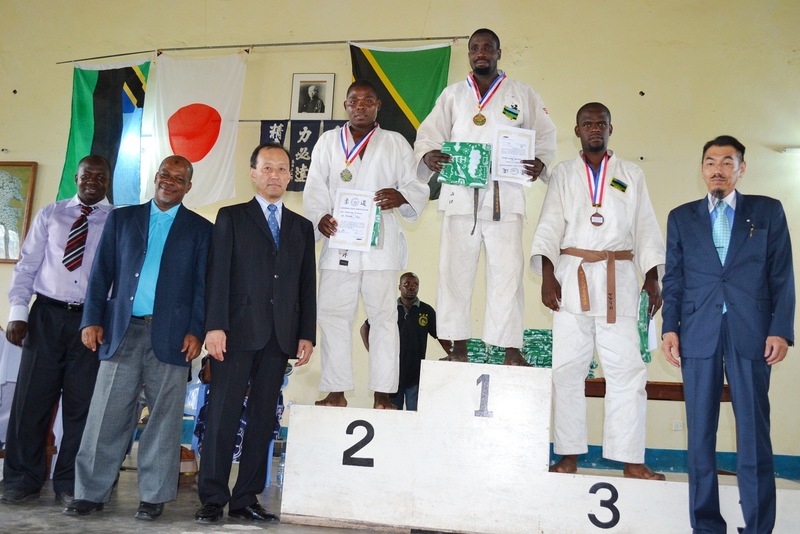 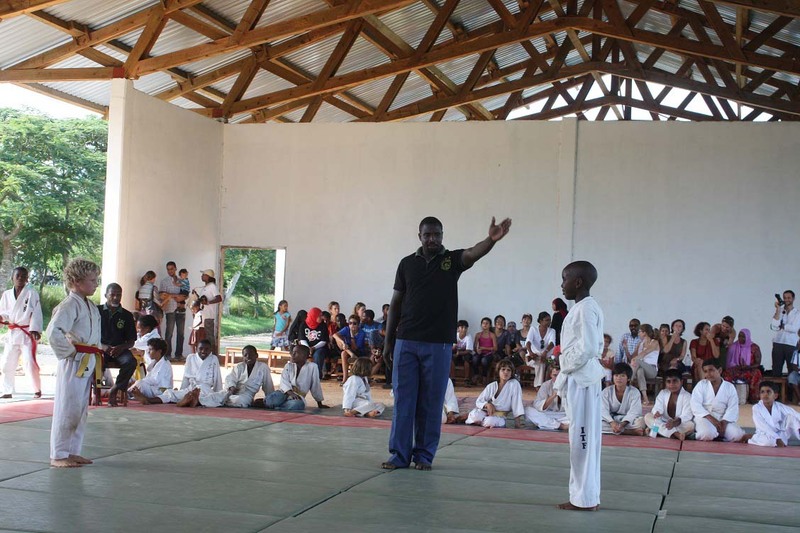 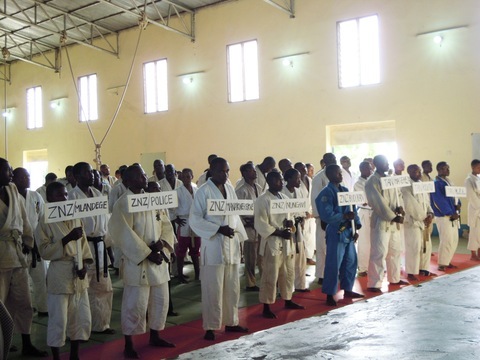 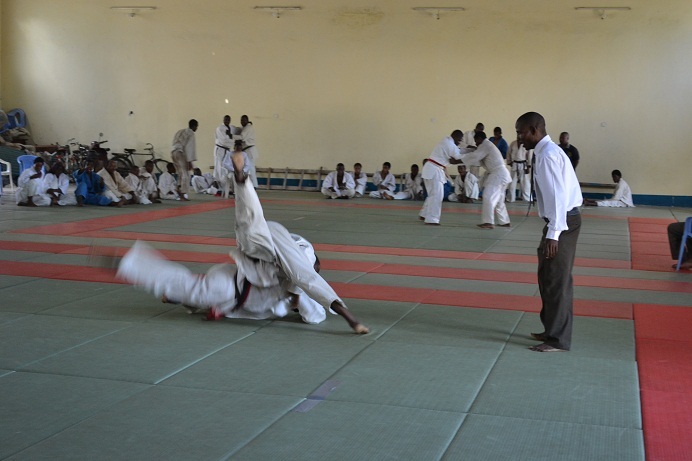 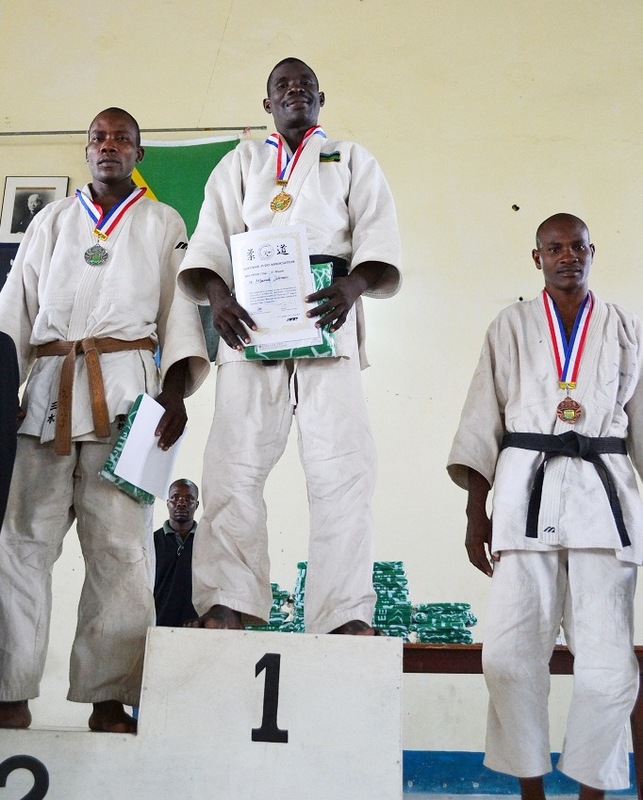 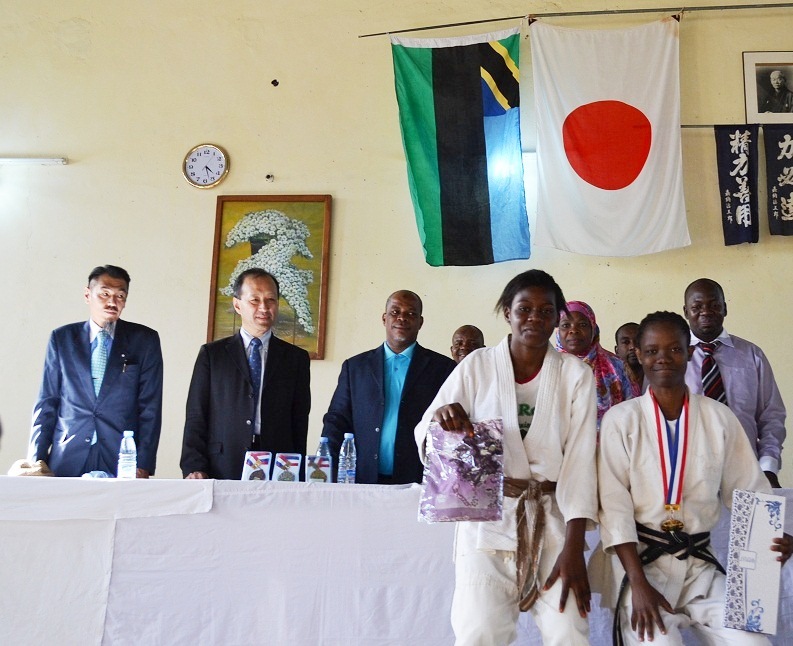 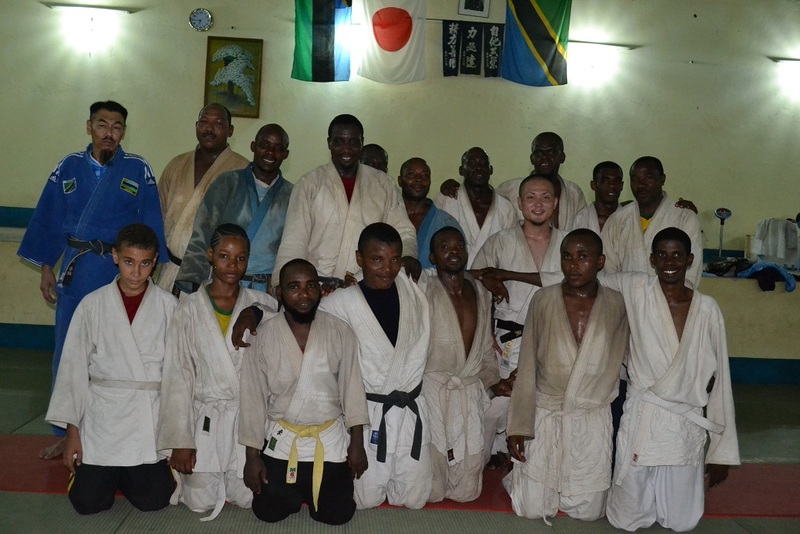 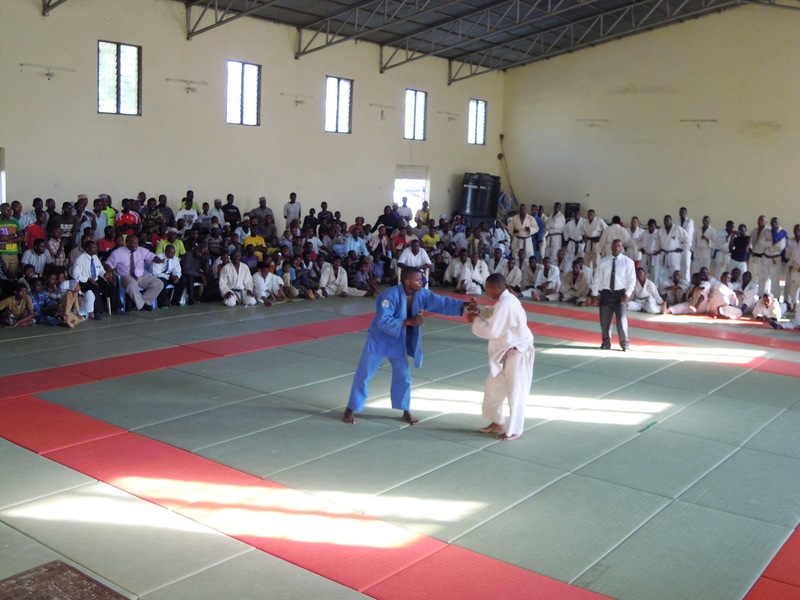 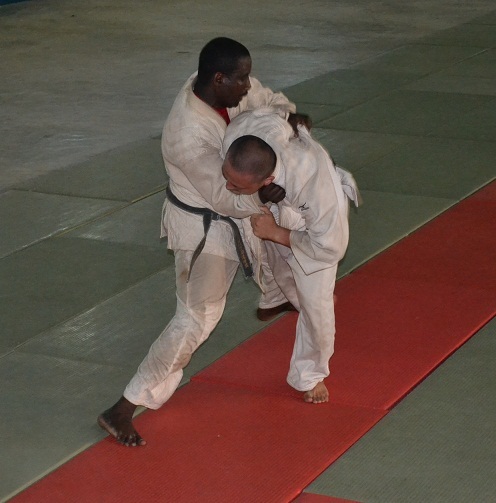 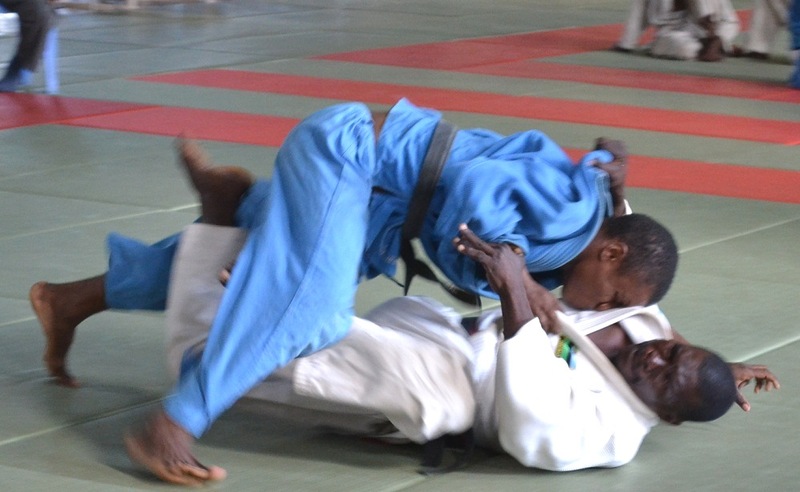 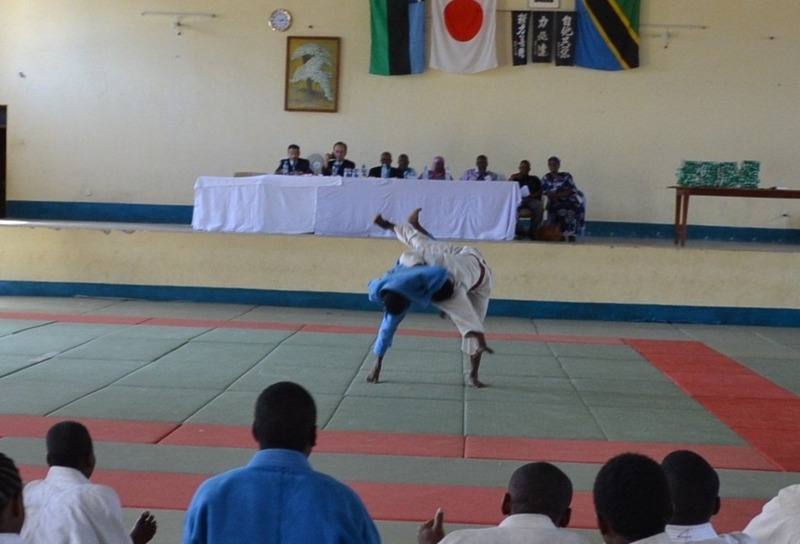 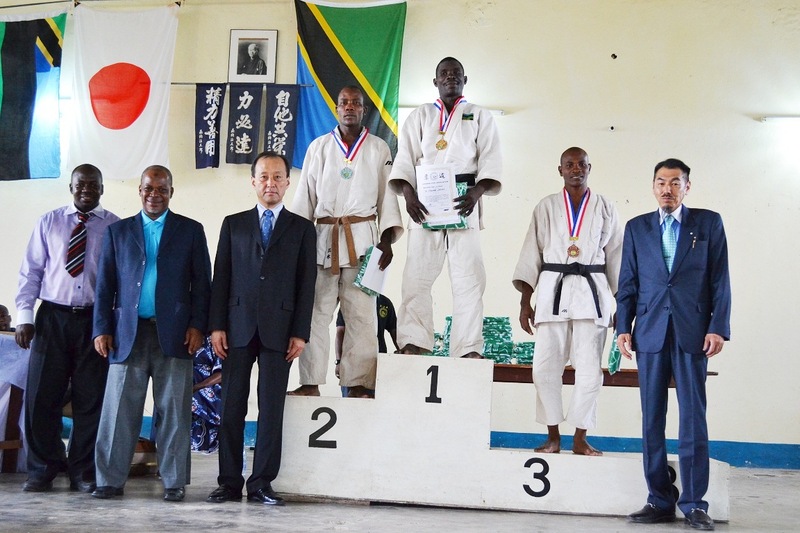 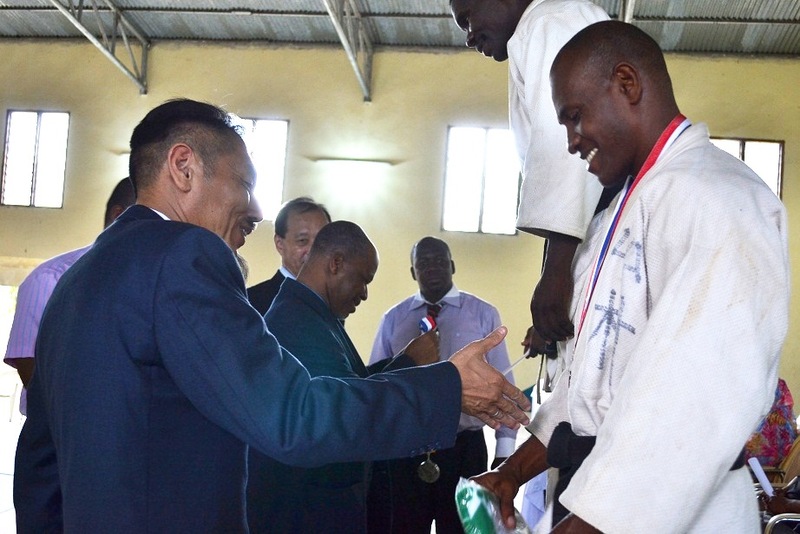 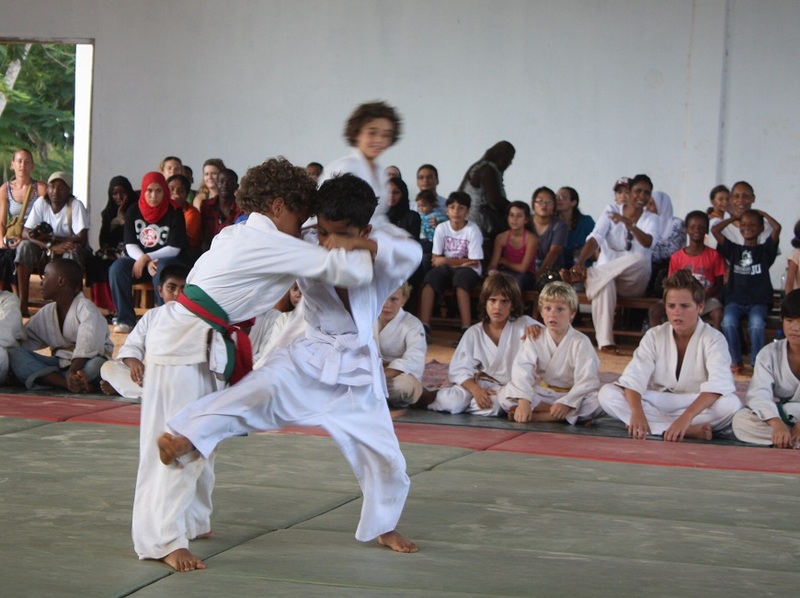 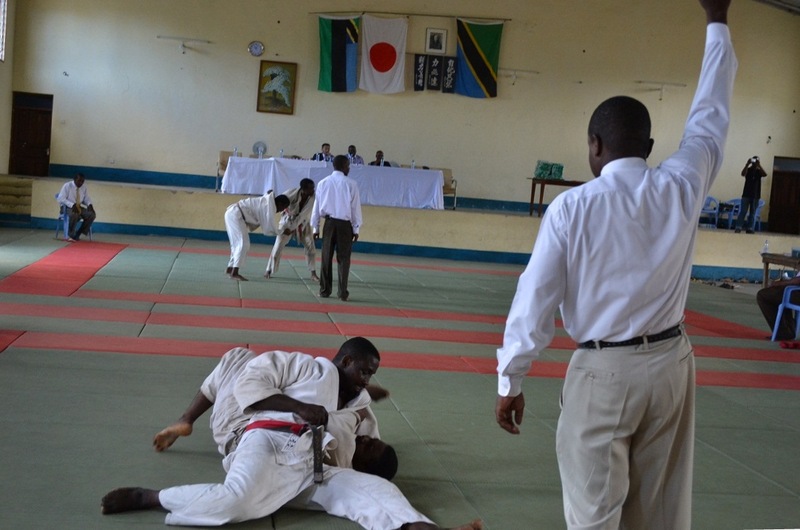 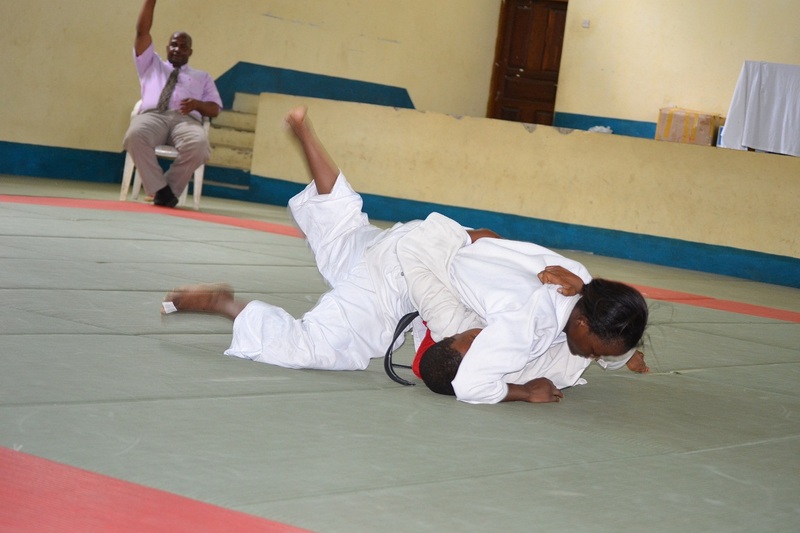 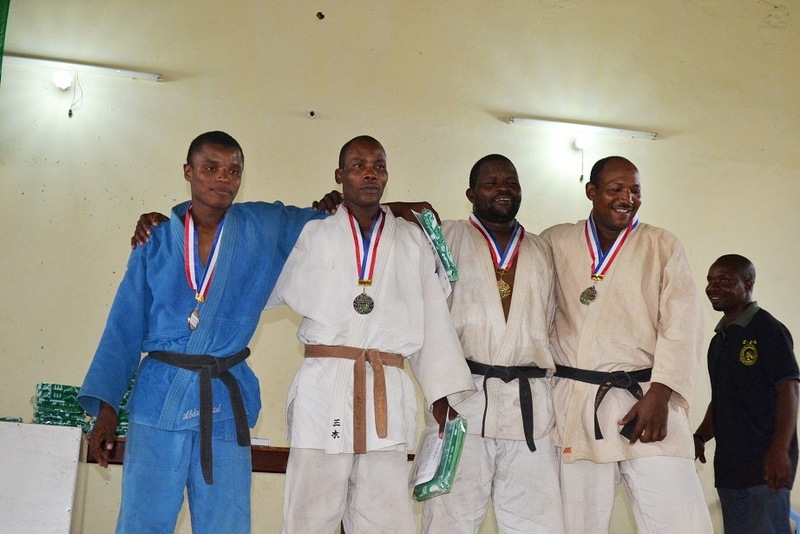 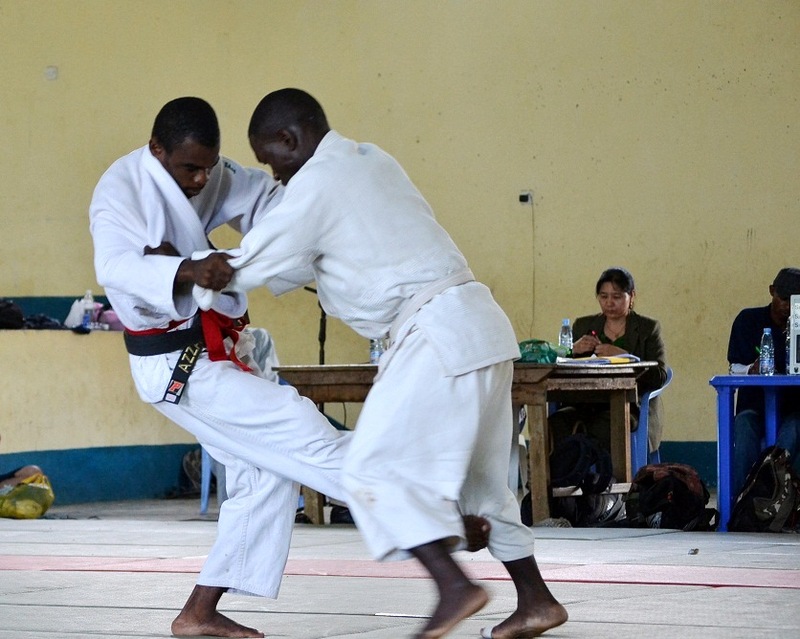 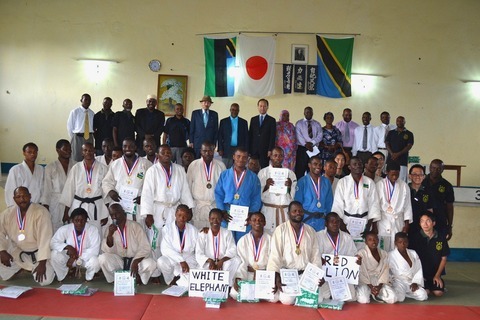 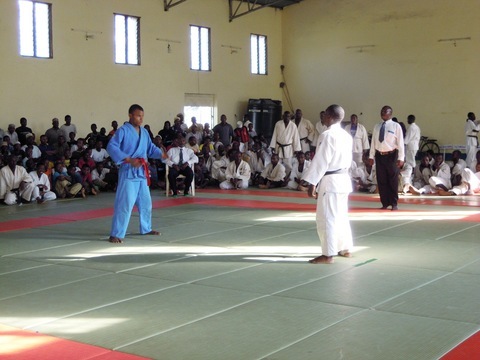 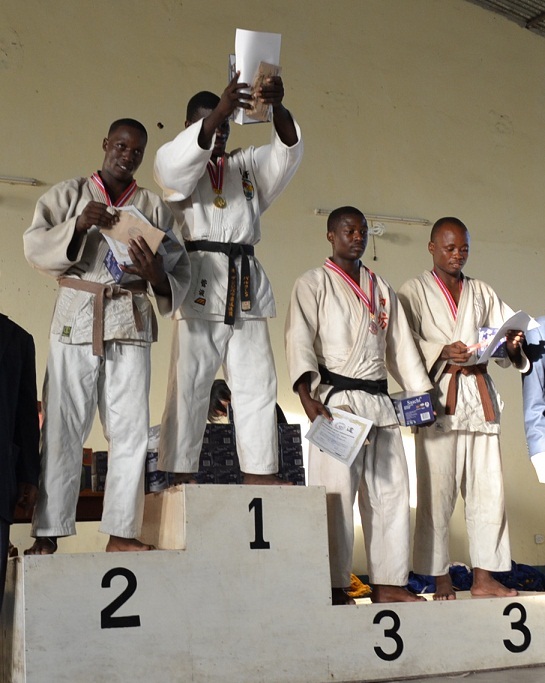 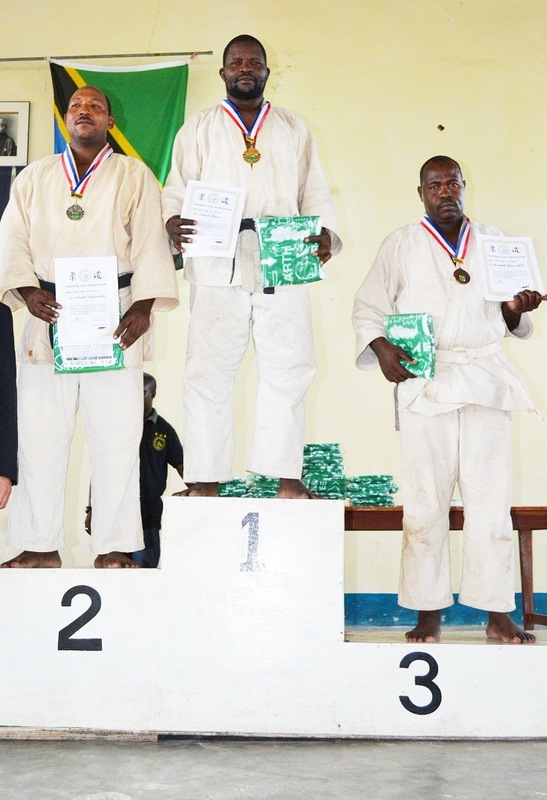 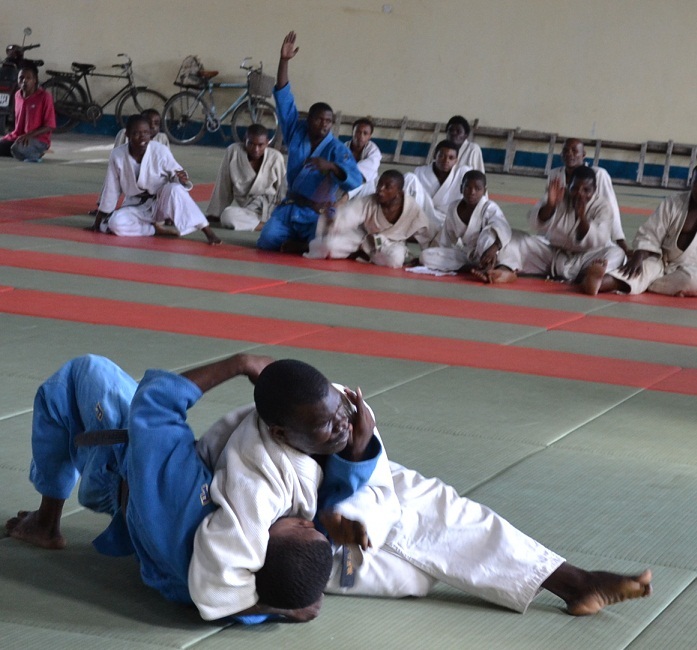 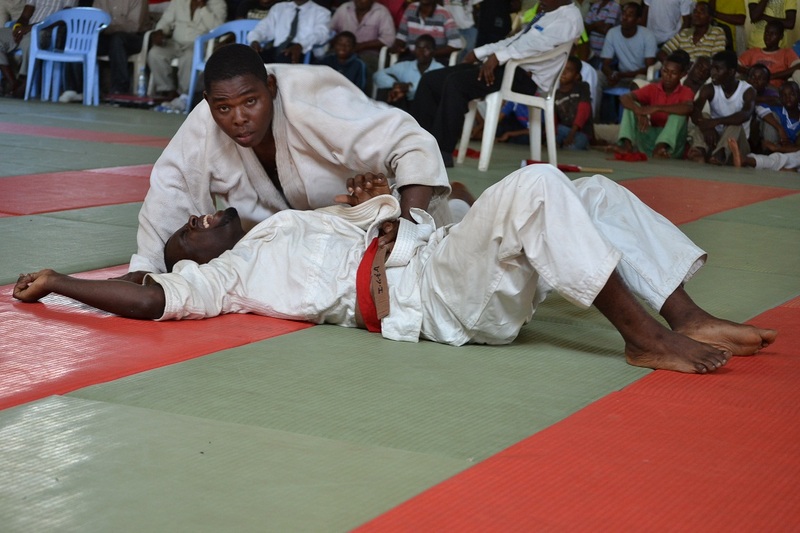 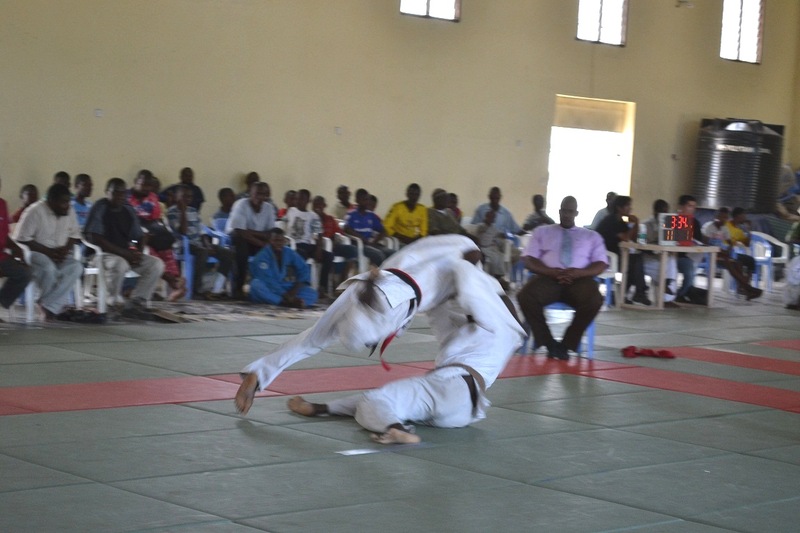 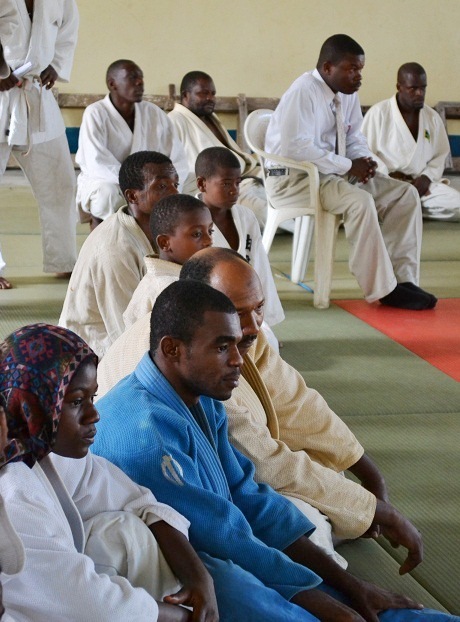 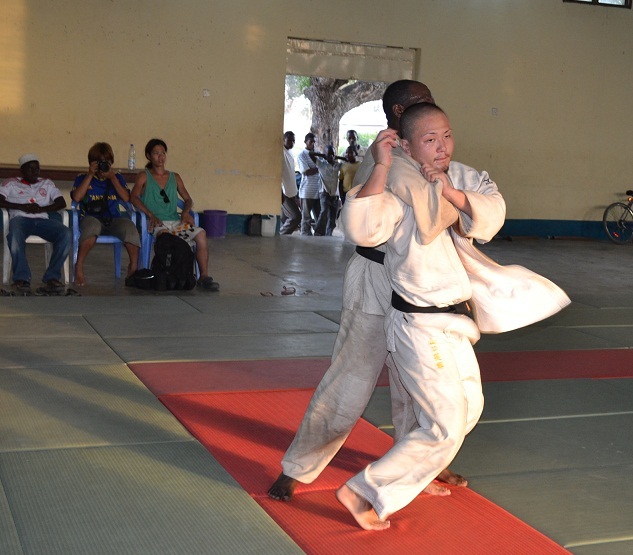 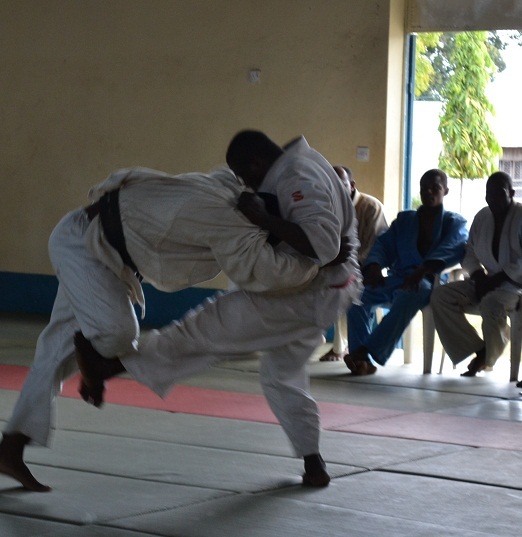 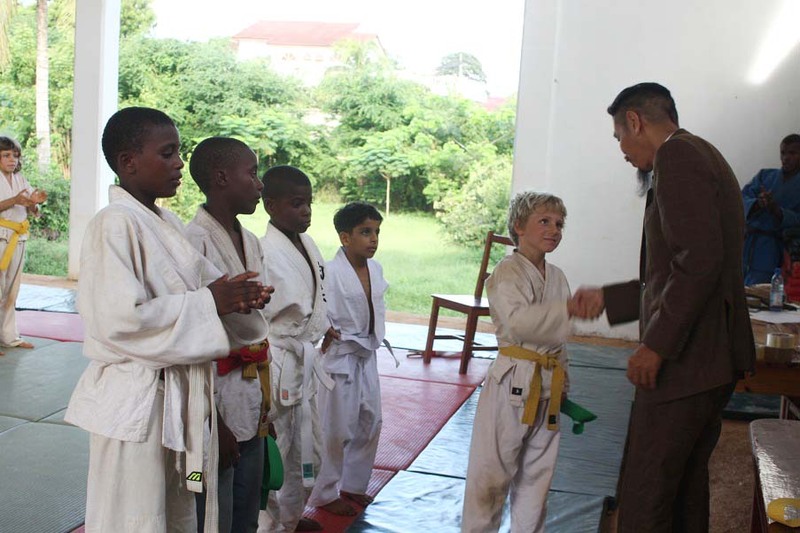 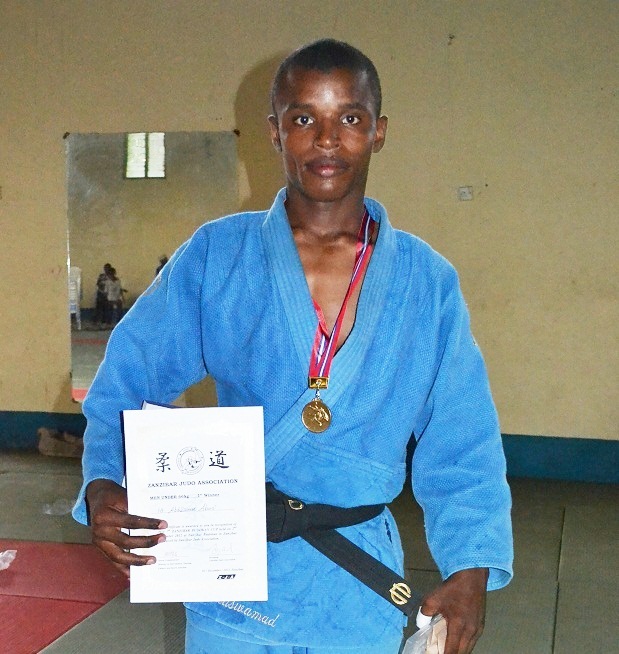 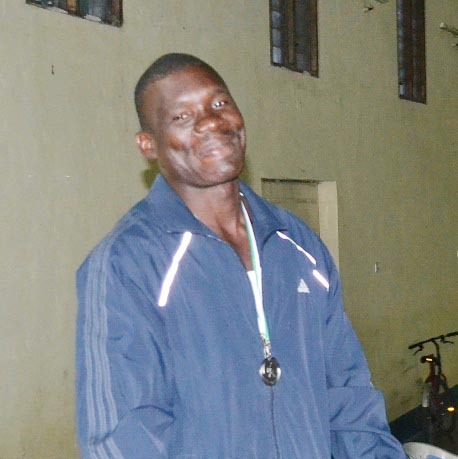 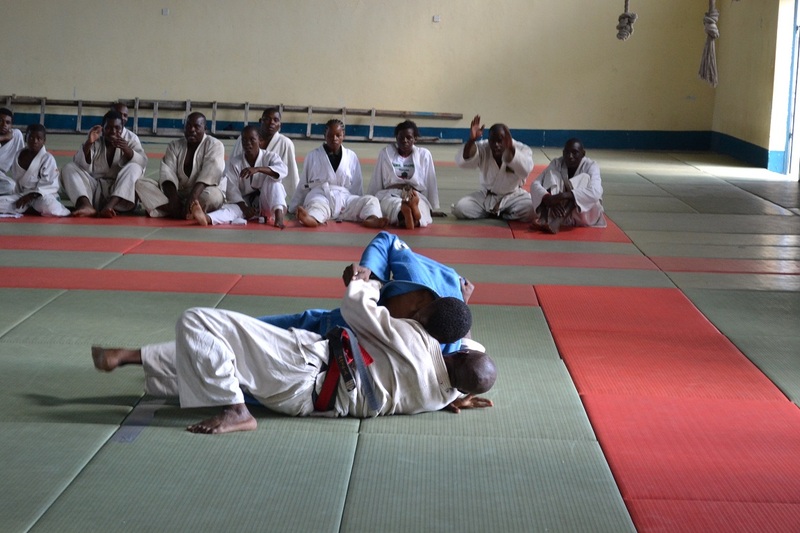 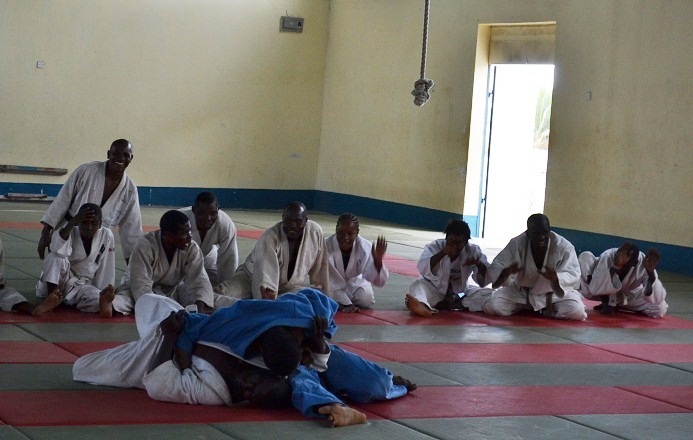 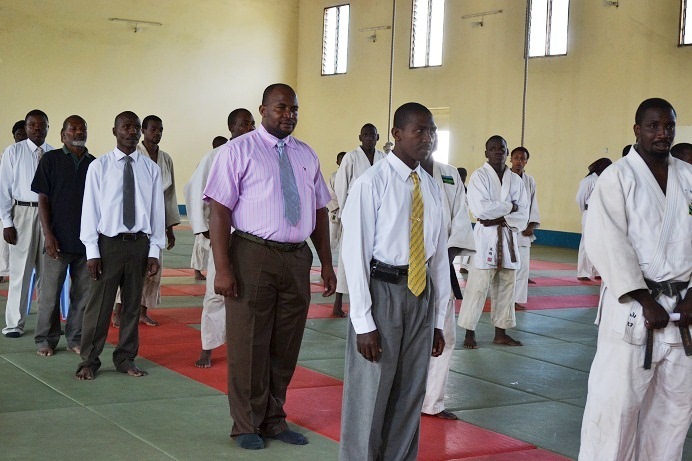 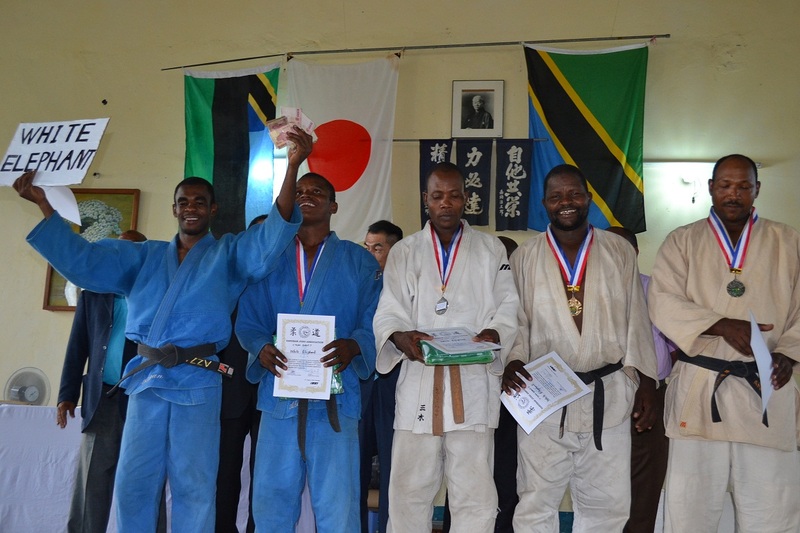 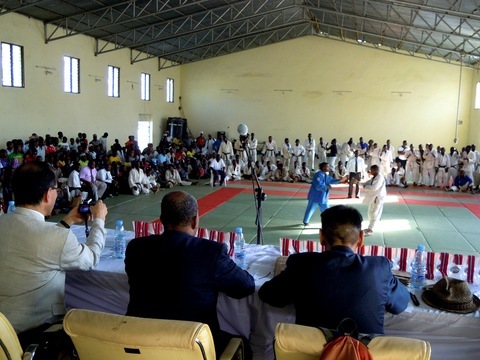 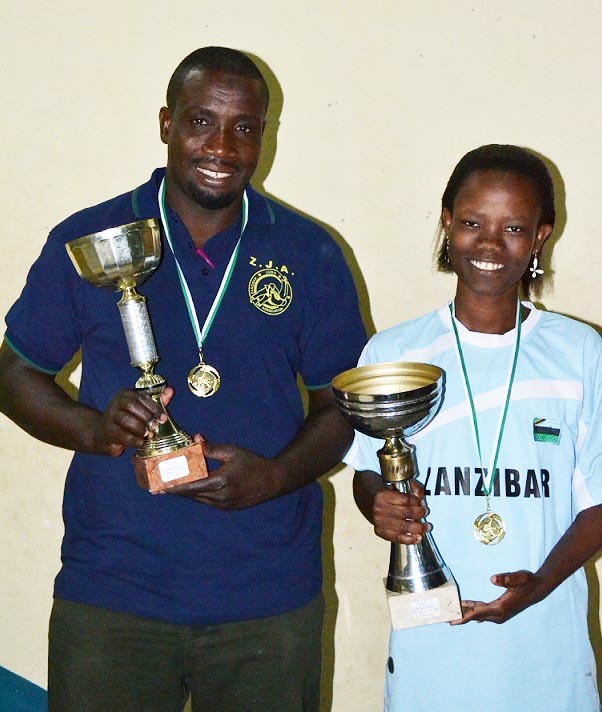 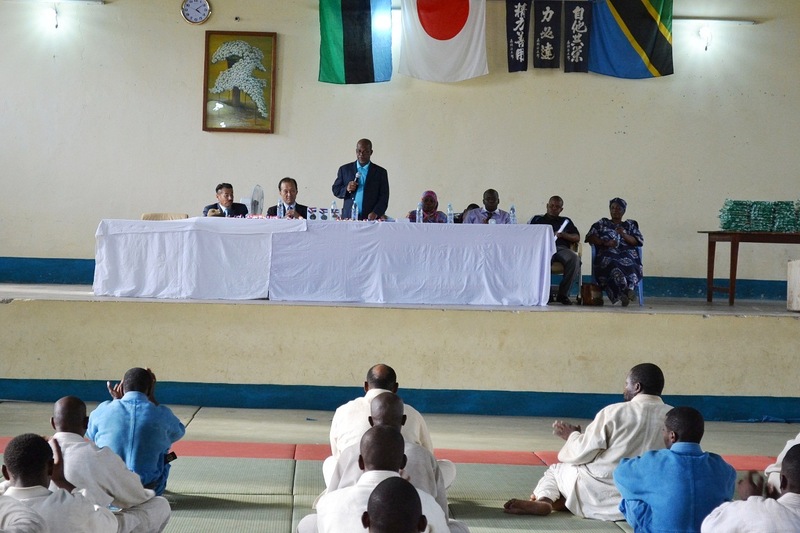 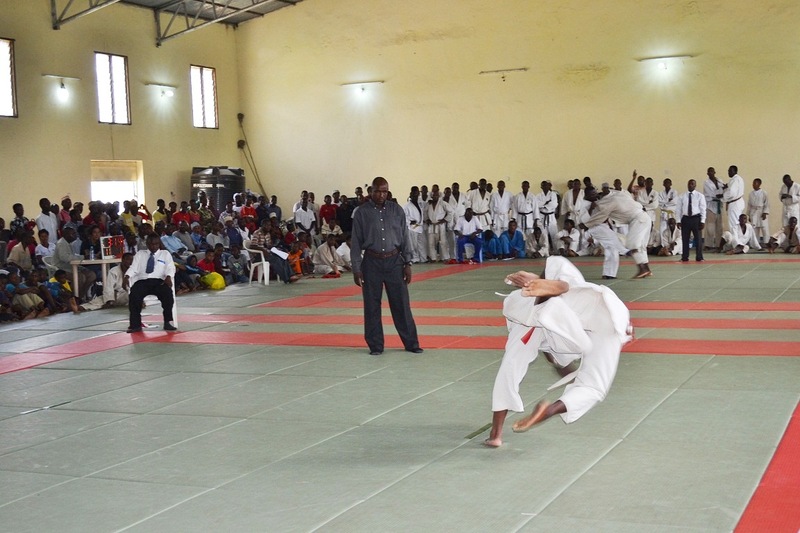 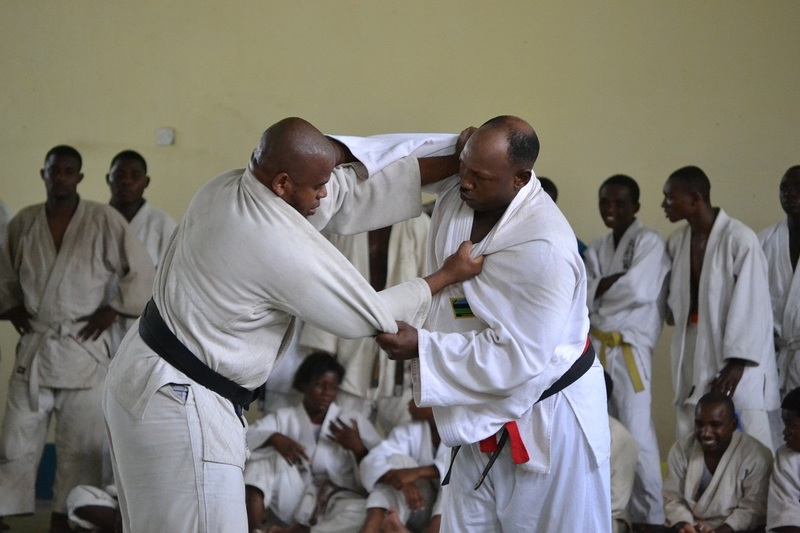 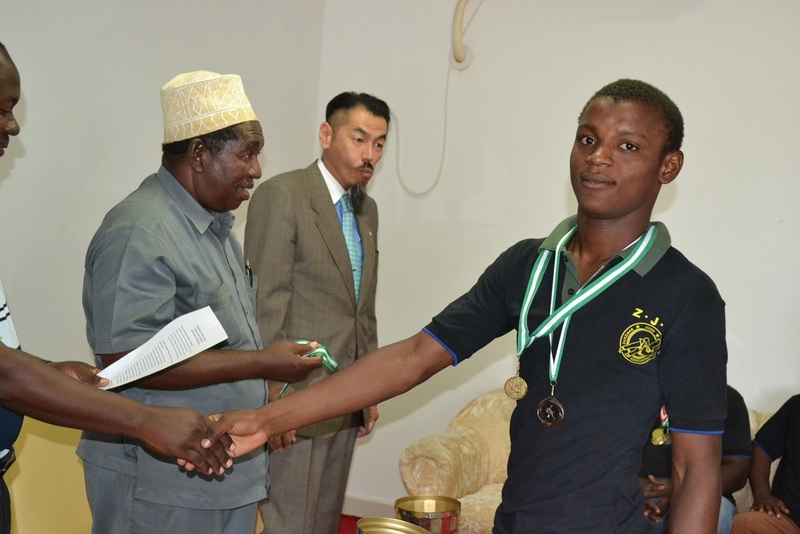 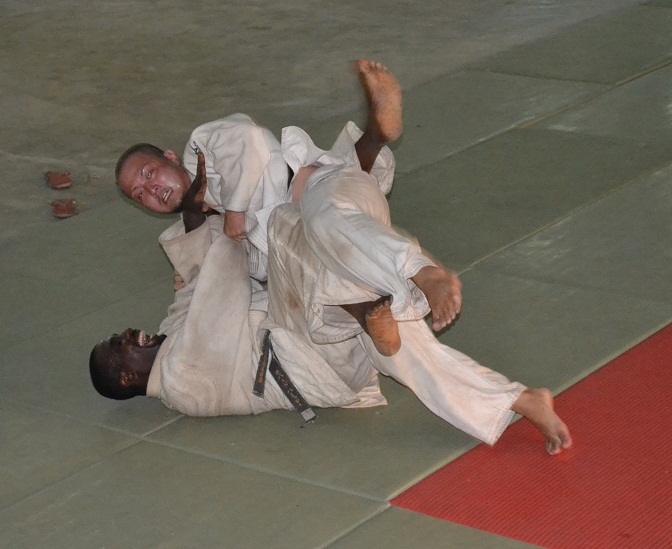 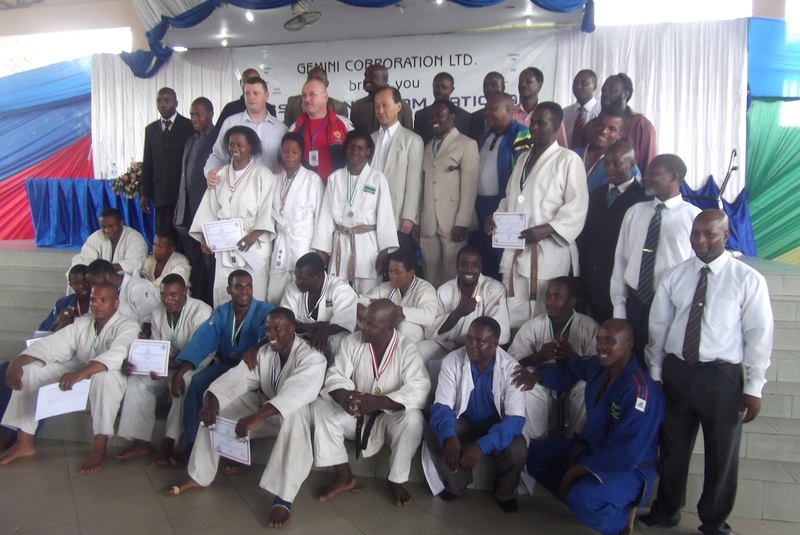 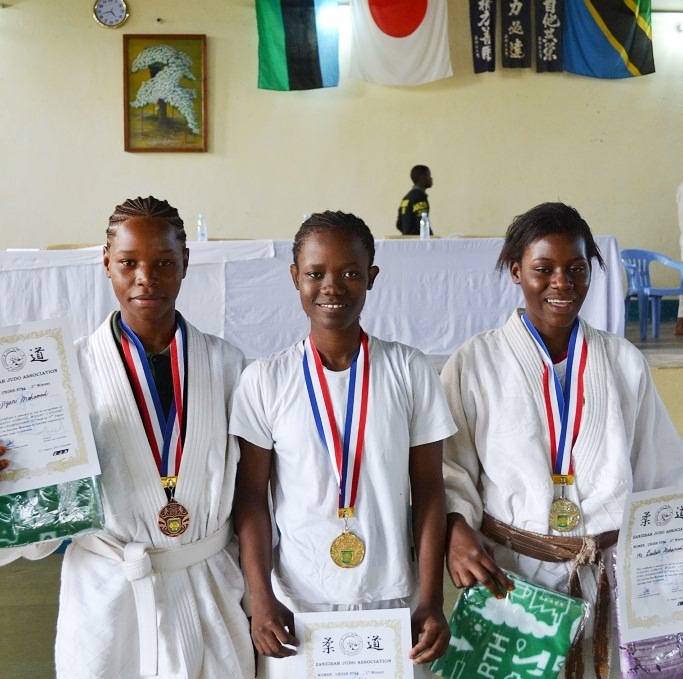 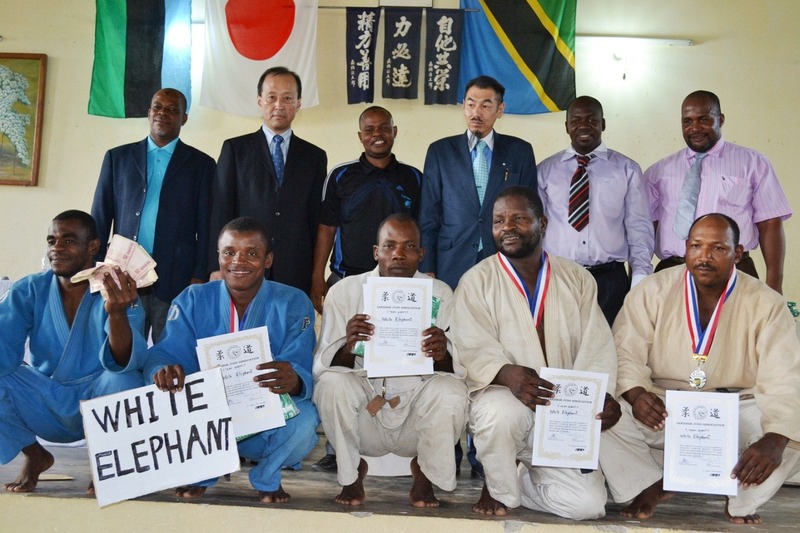 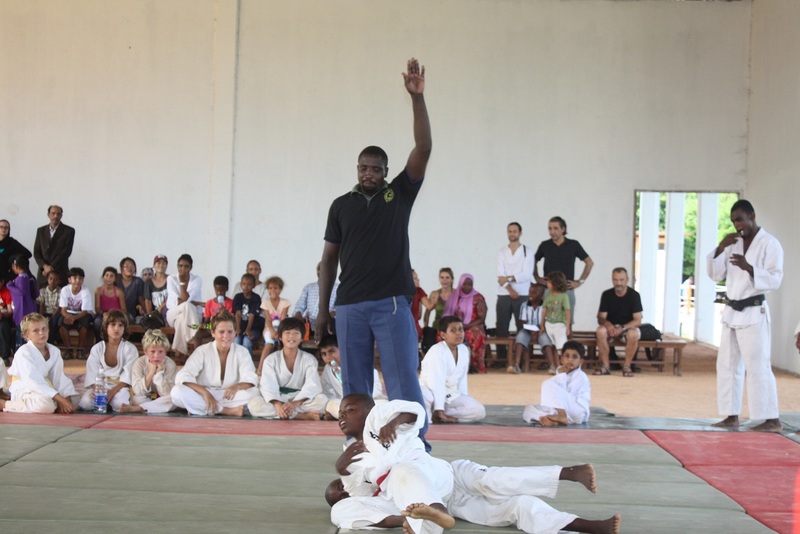 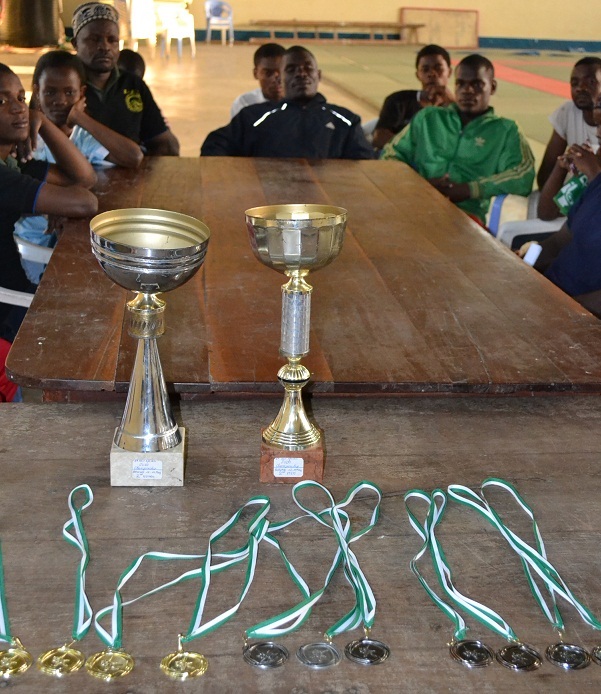 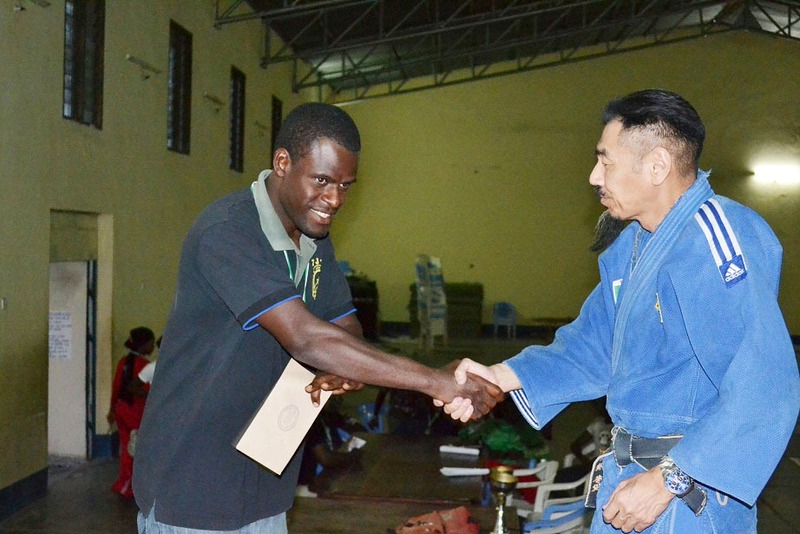 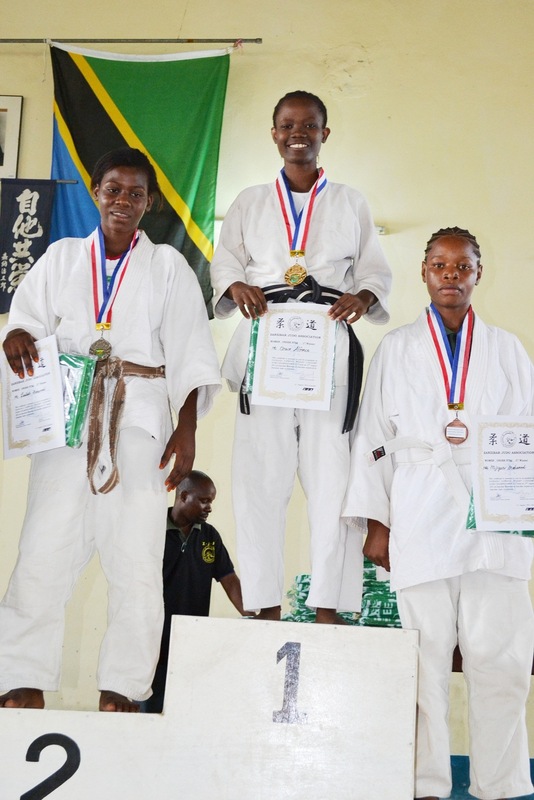 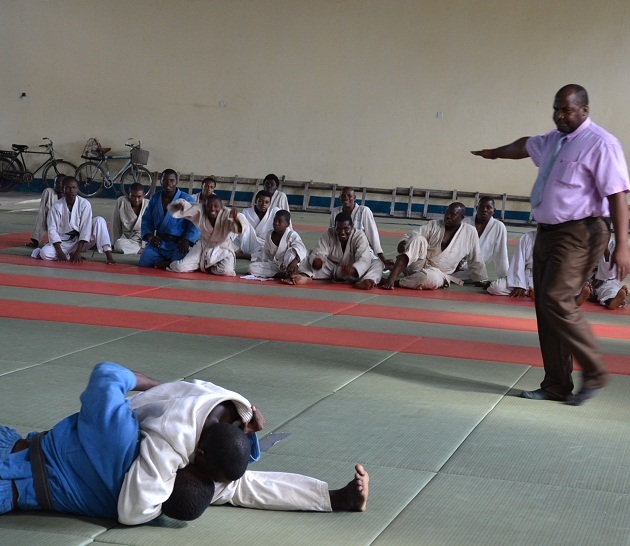 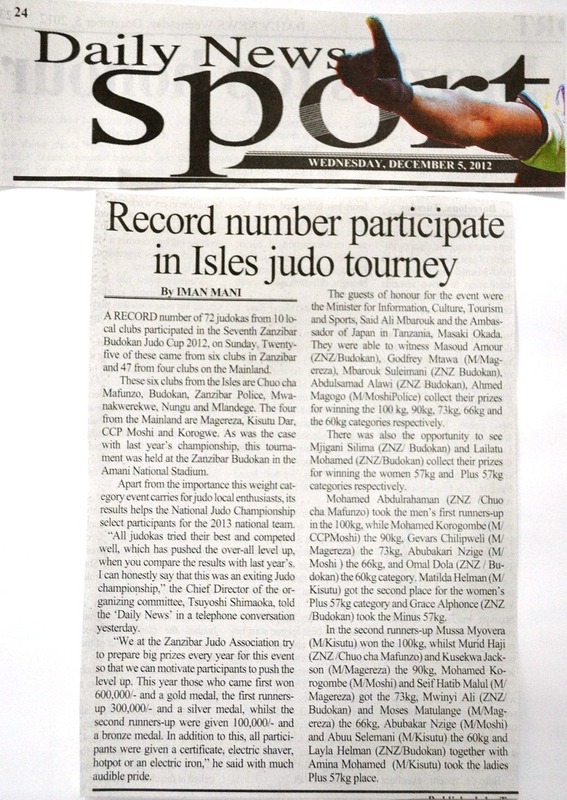 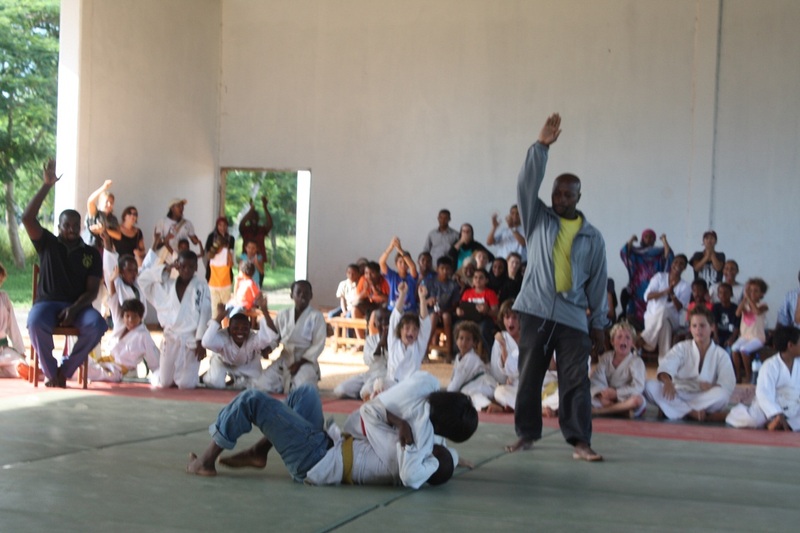 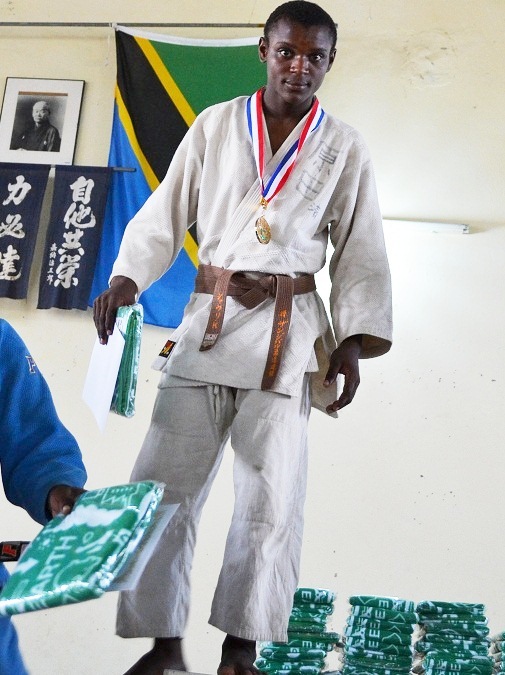 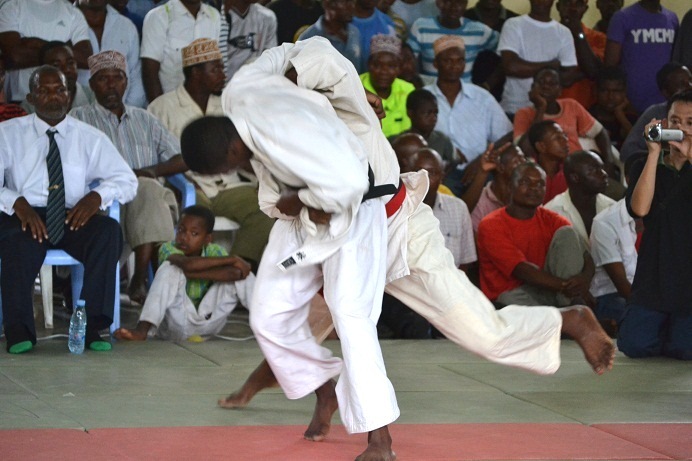 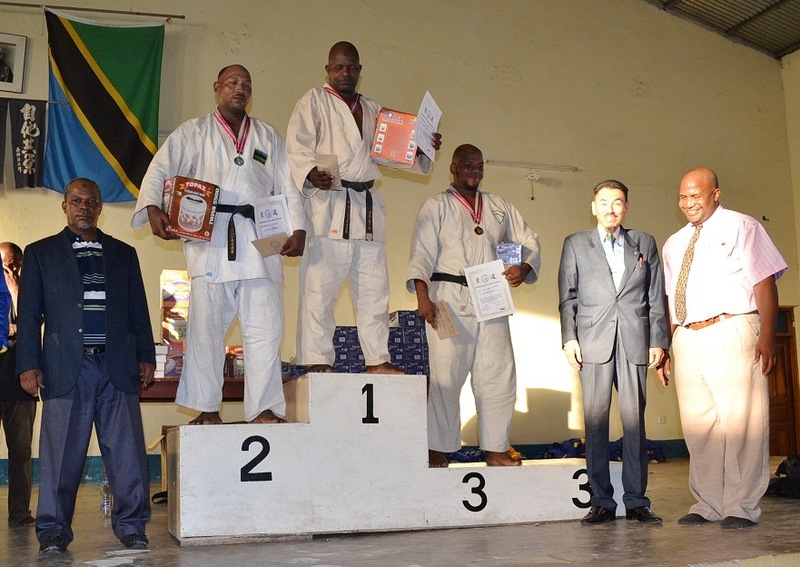 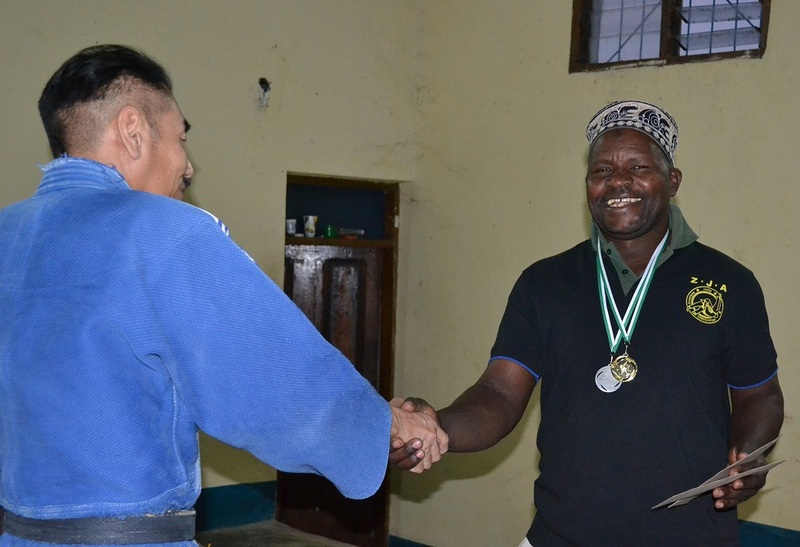 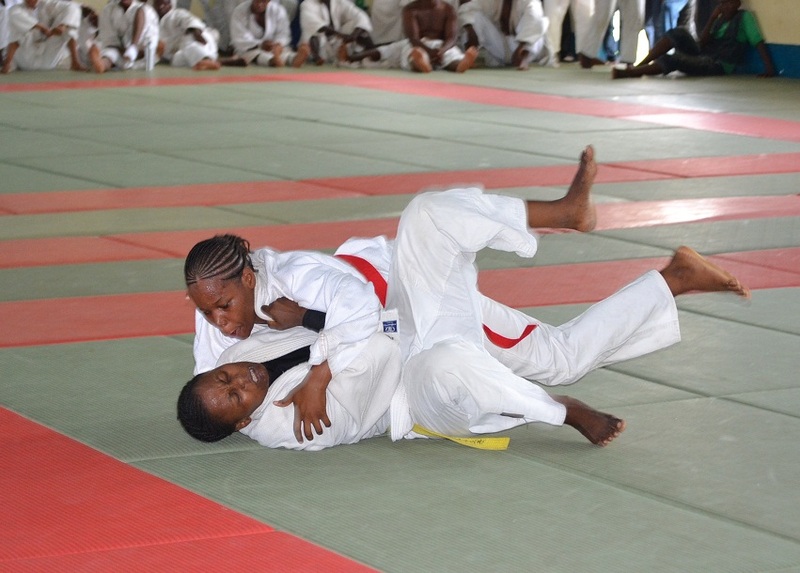 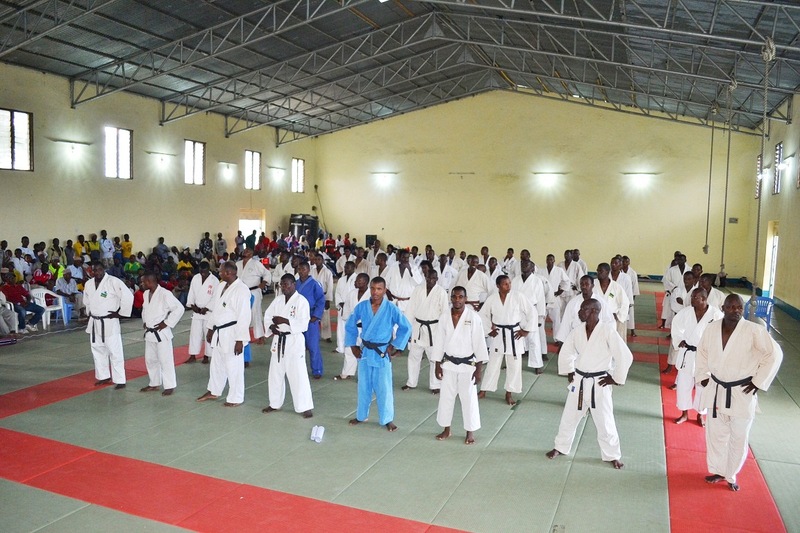 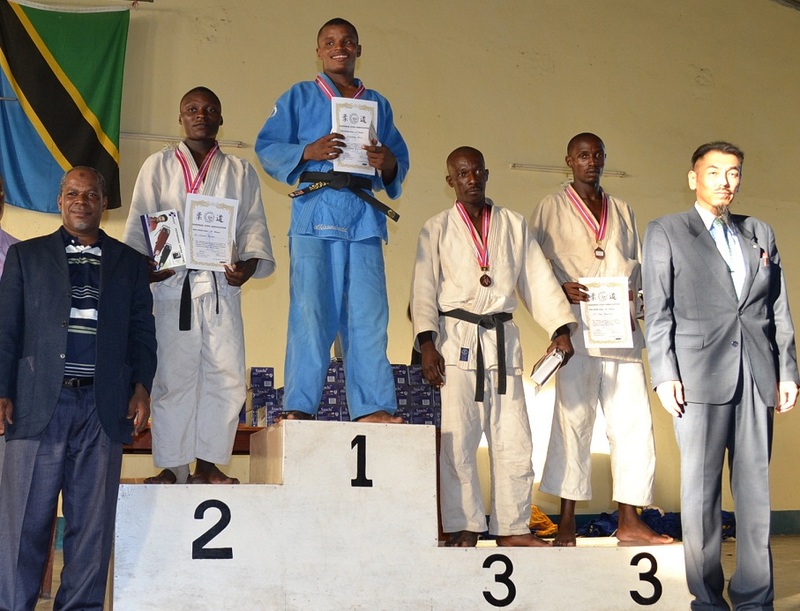 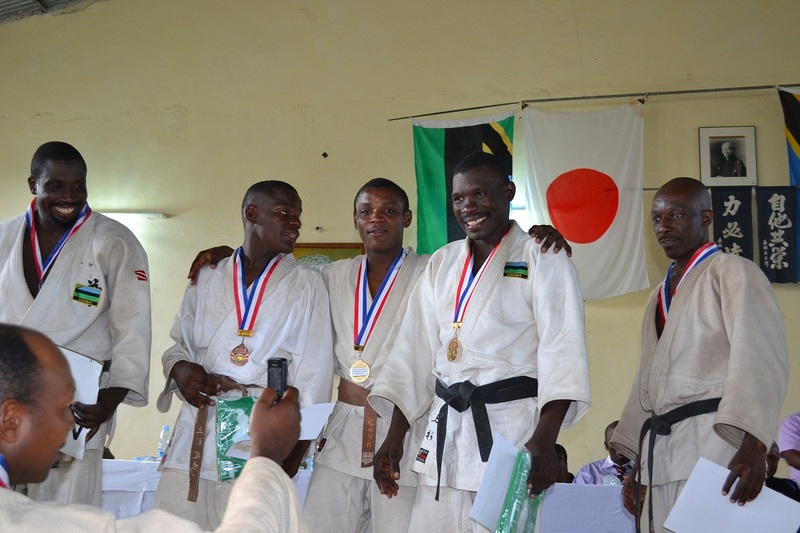 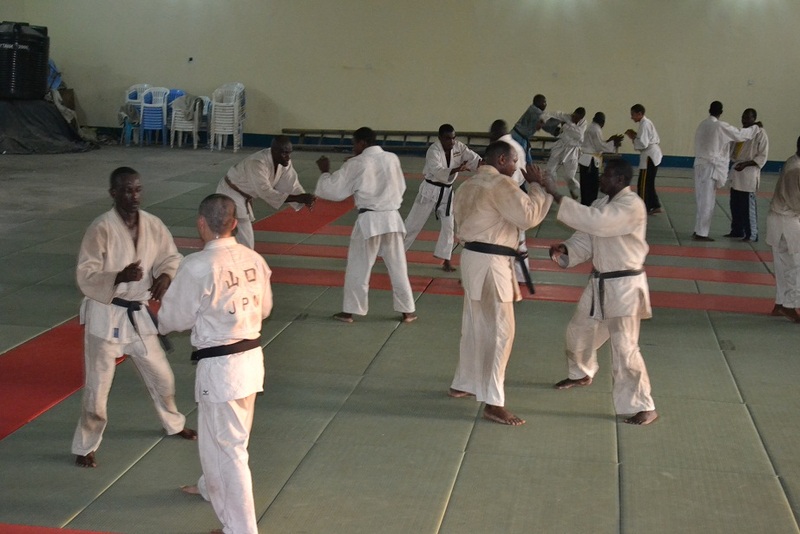 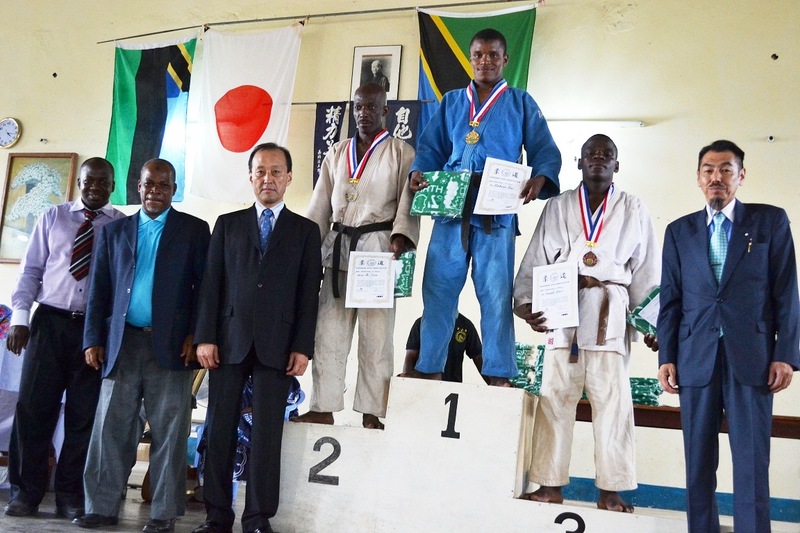 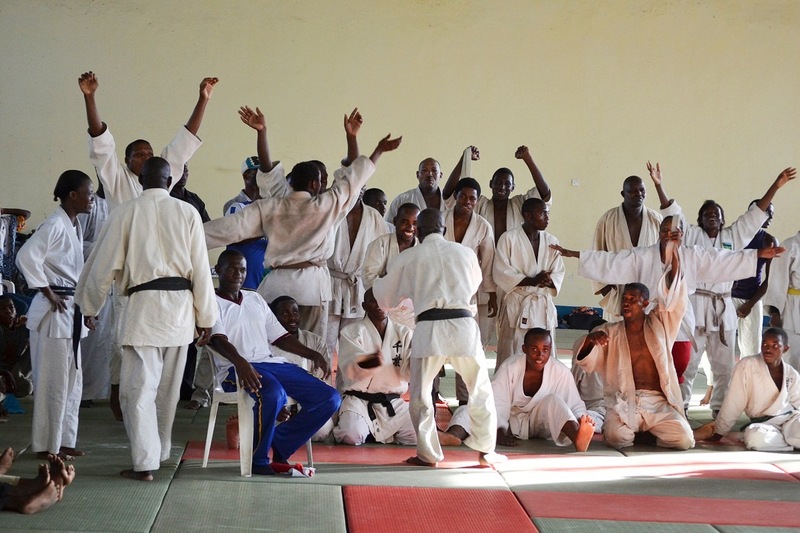 [TANZANIA NATIONAL WEIGHT CATEGORY JUDO CHAMPIONSHIP 2012] on 15/JULY/2012 at ZANZIBAR BUDOKAN in ZANZIBAR. 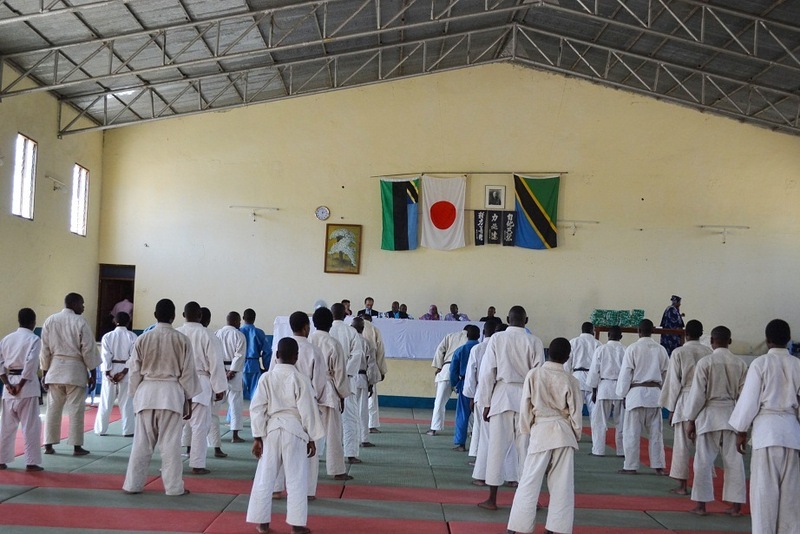 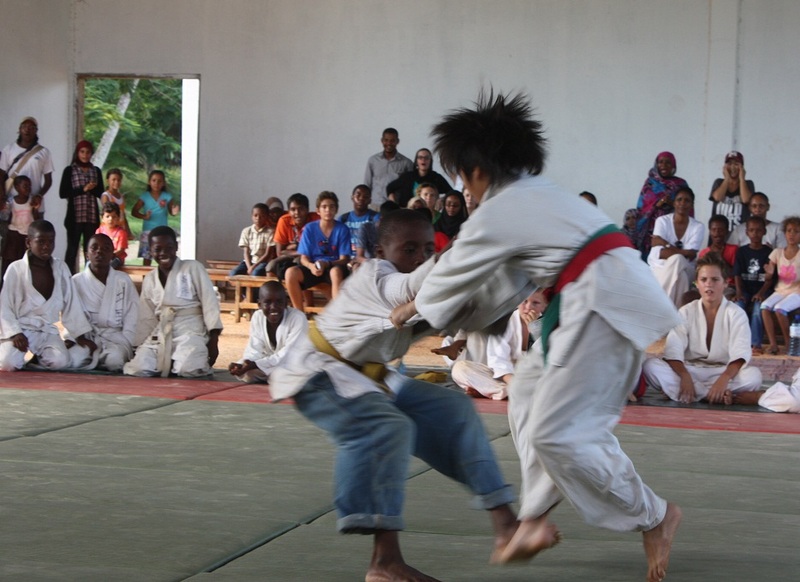 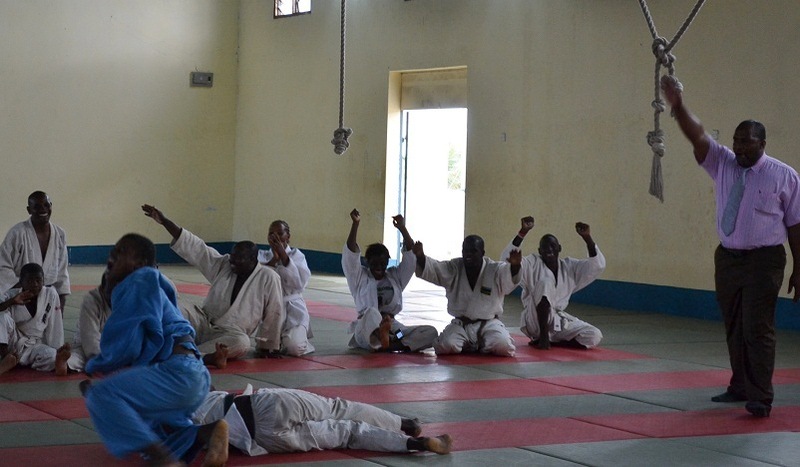 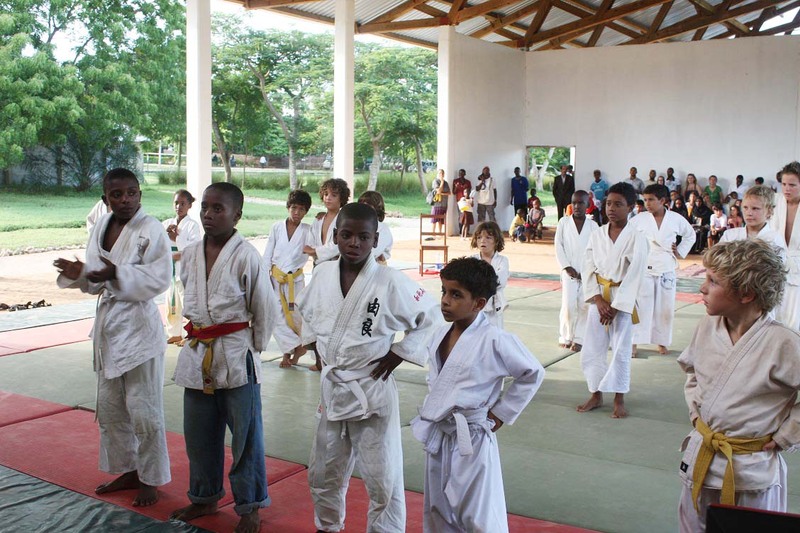 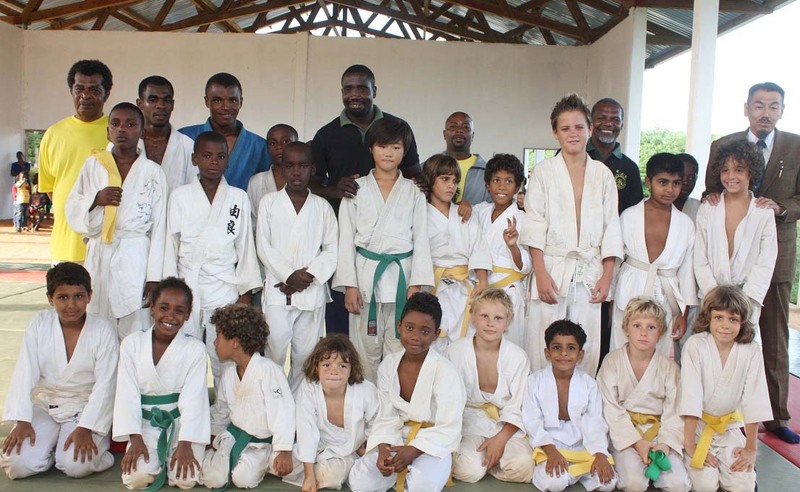 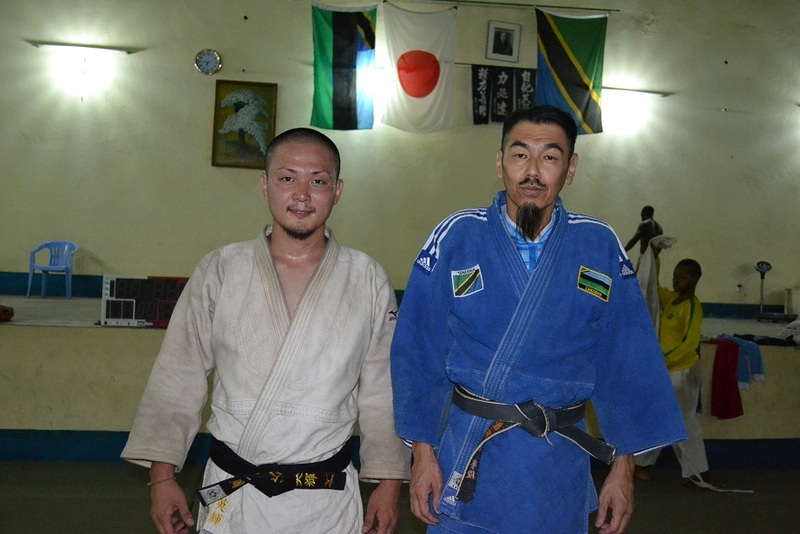 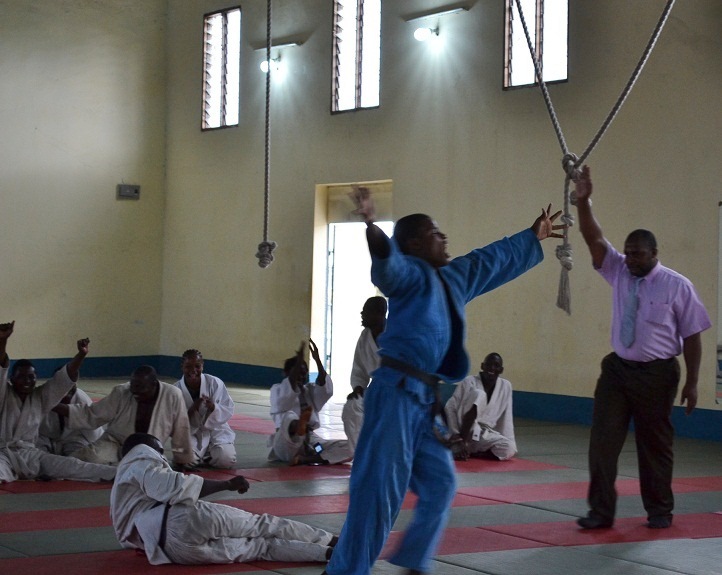 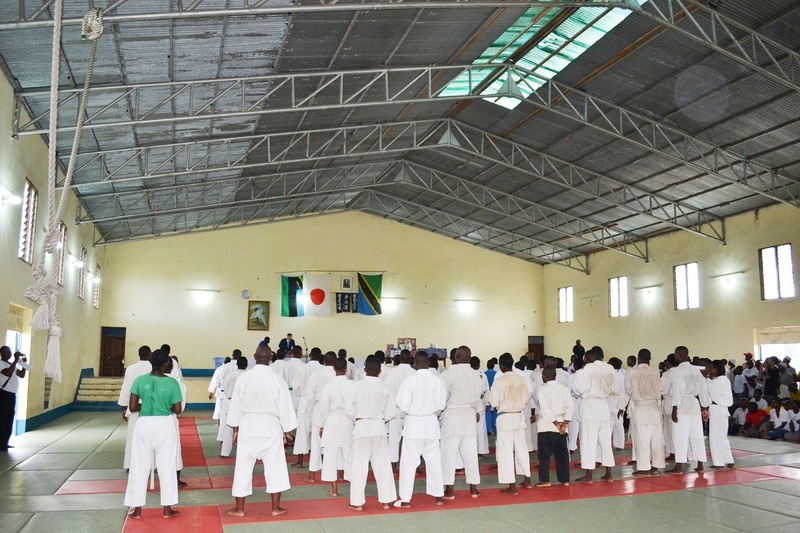 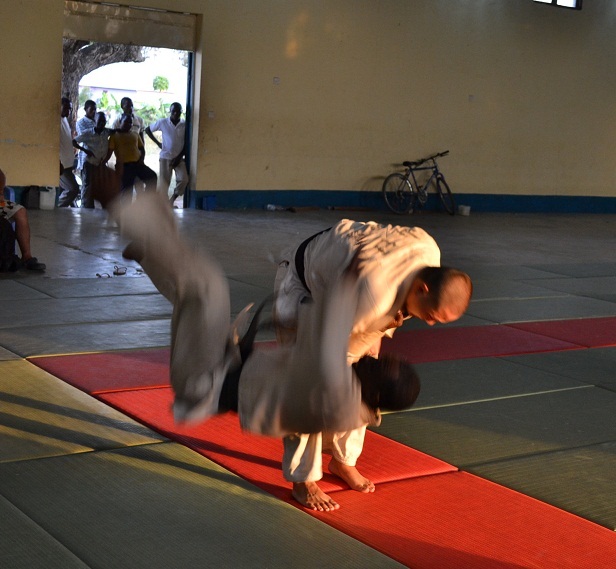 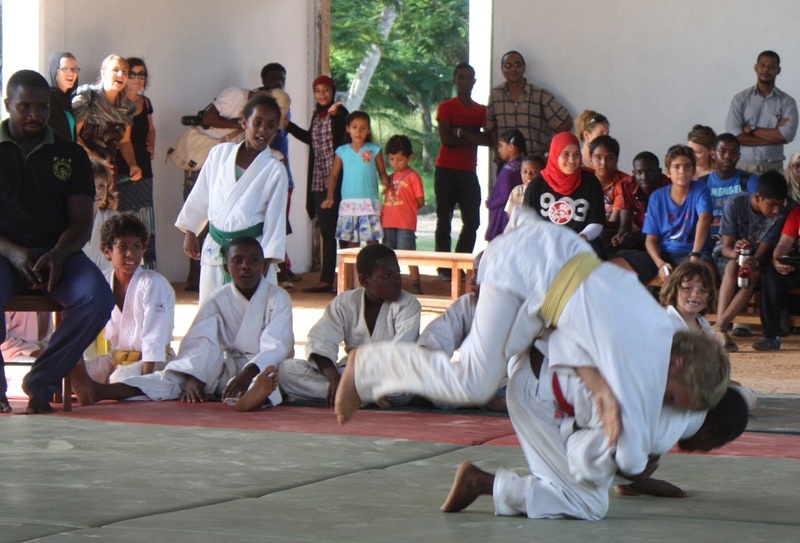 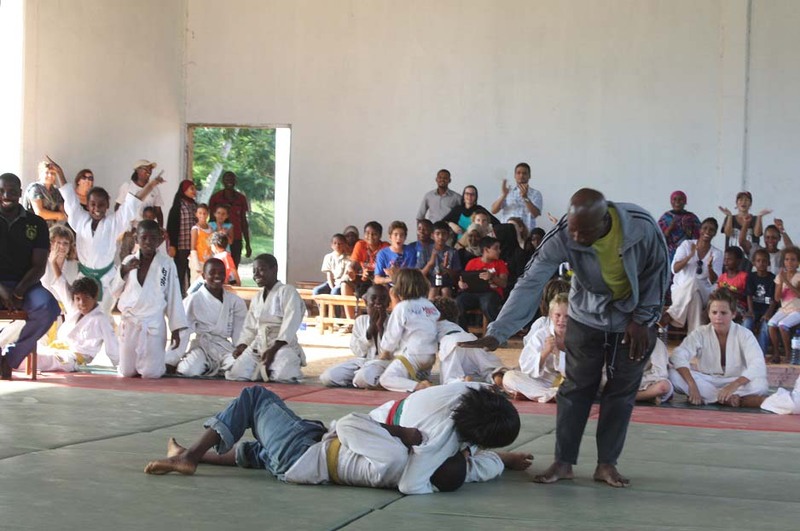 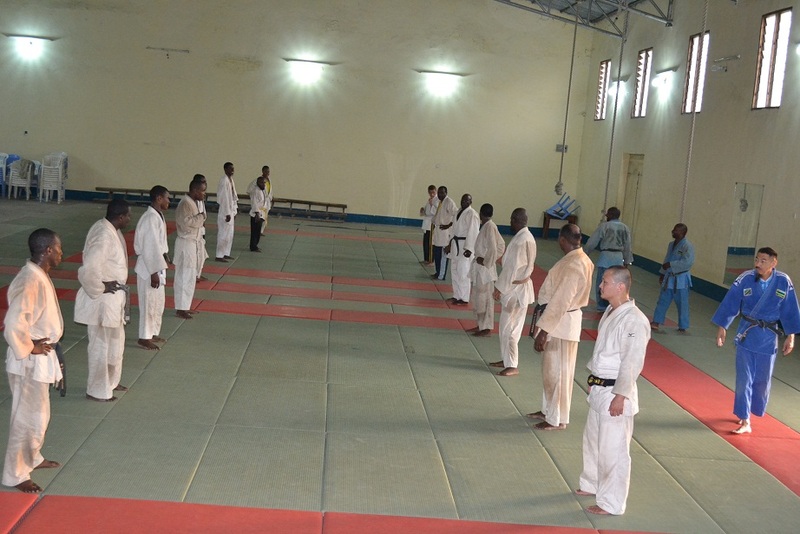 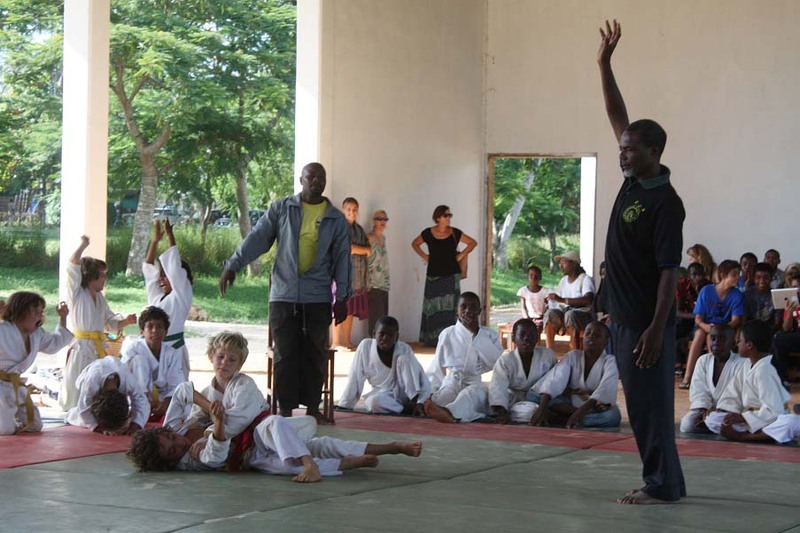 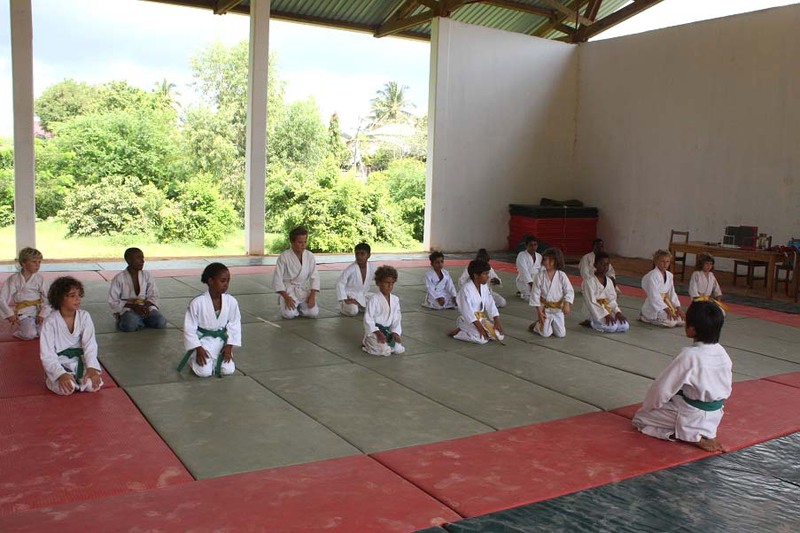 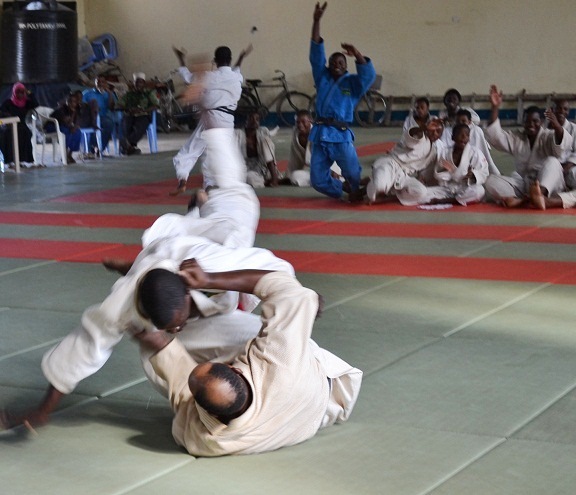 ZANZIBAR BUDOKAN is special institution for Judo and situated in National Stadium Amaani, Zanzibar. 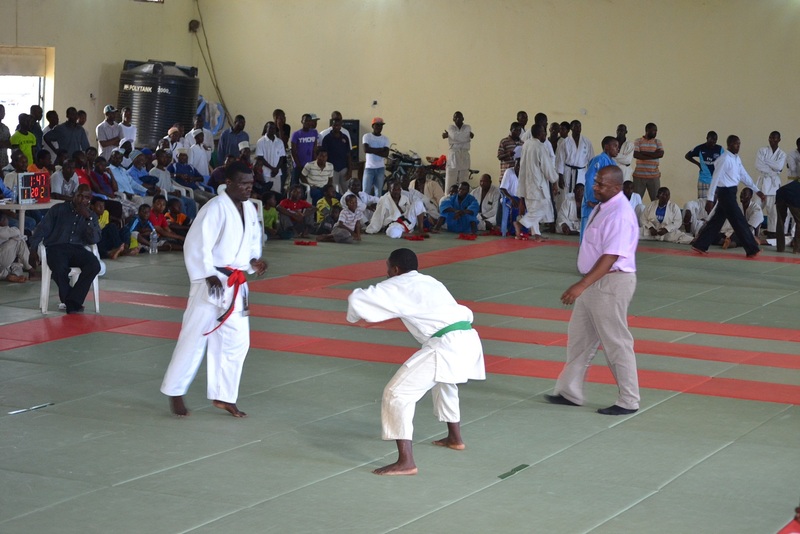 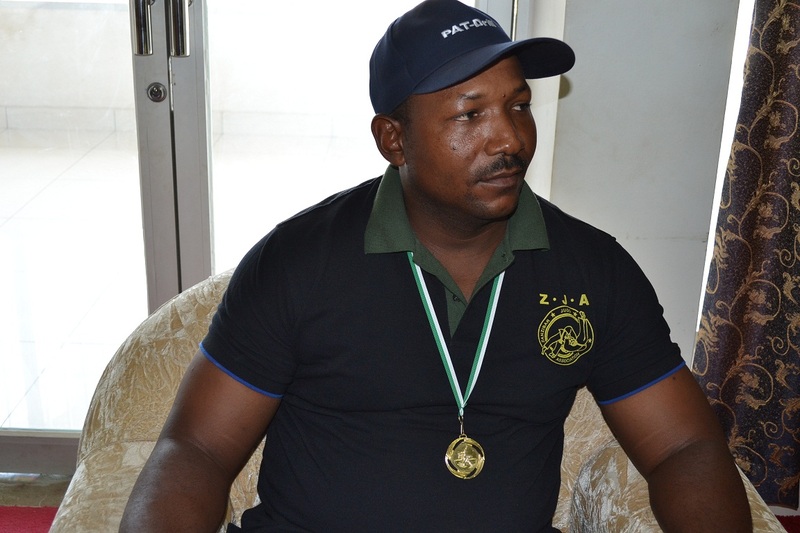 Our purpose to hold this competition shall make opportunity to level up and develop Judo in this country. 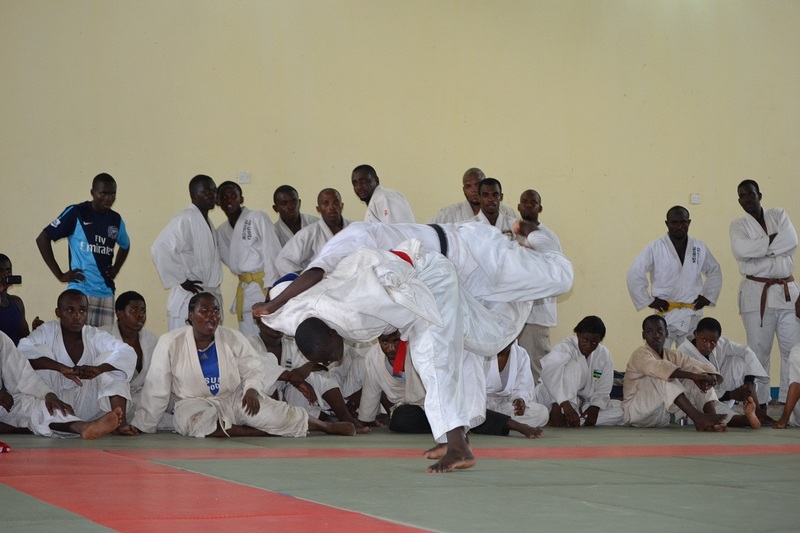 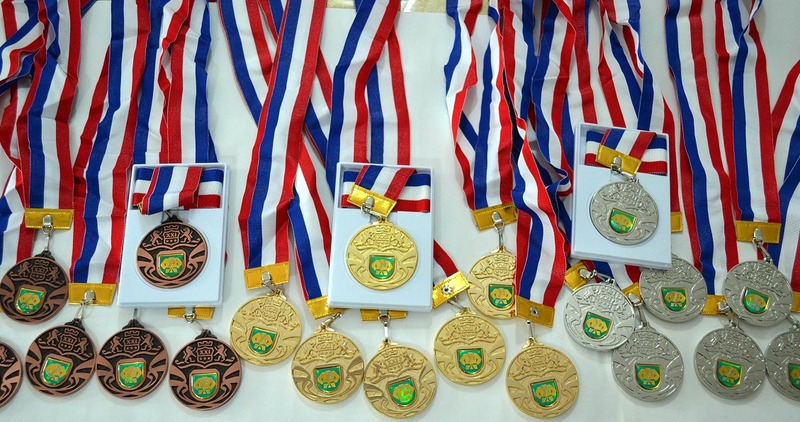 Also this Championship will one of qualifying competition for selecting the National Judo team 2013. 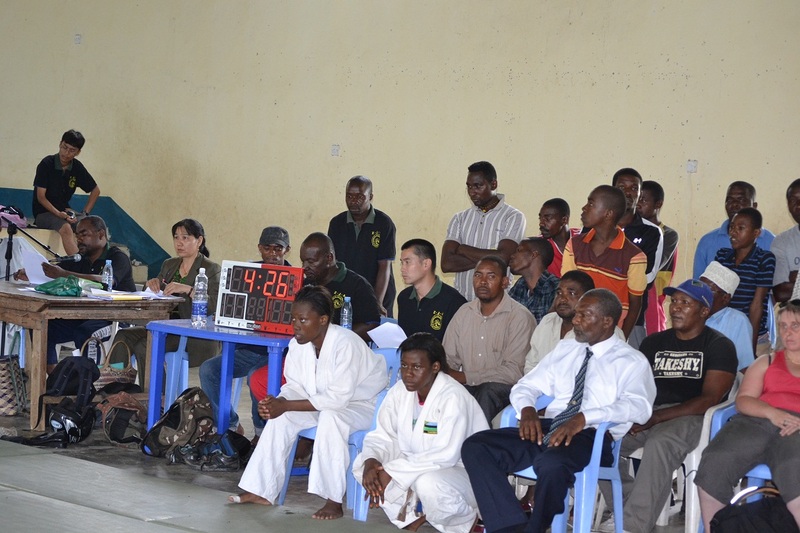 Welcome to wath the exciting Judo Championship! 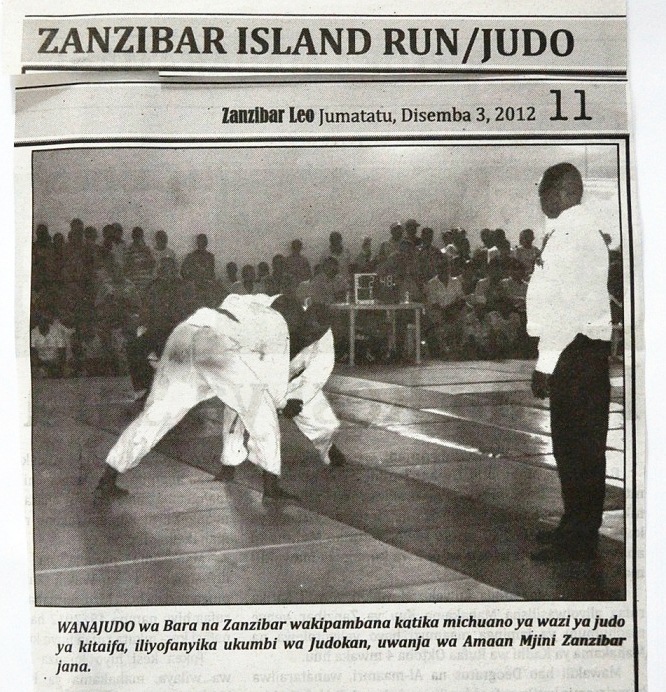 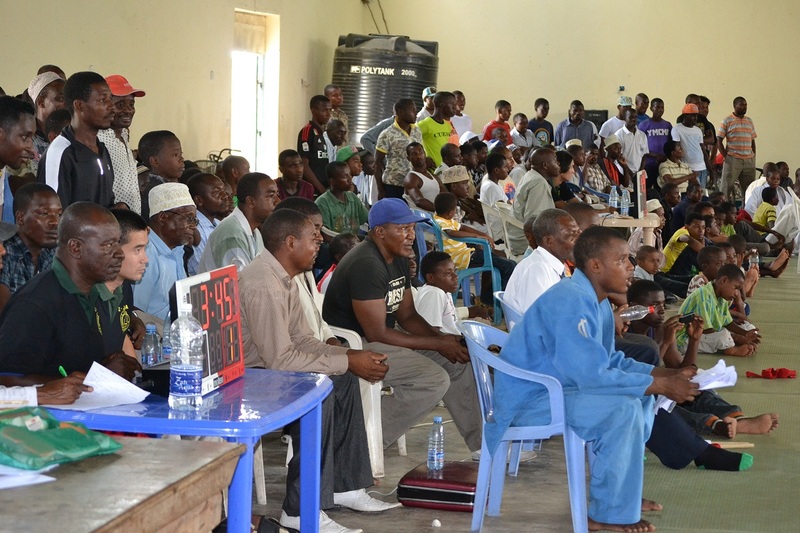 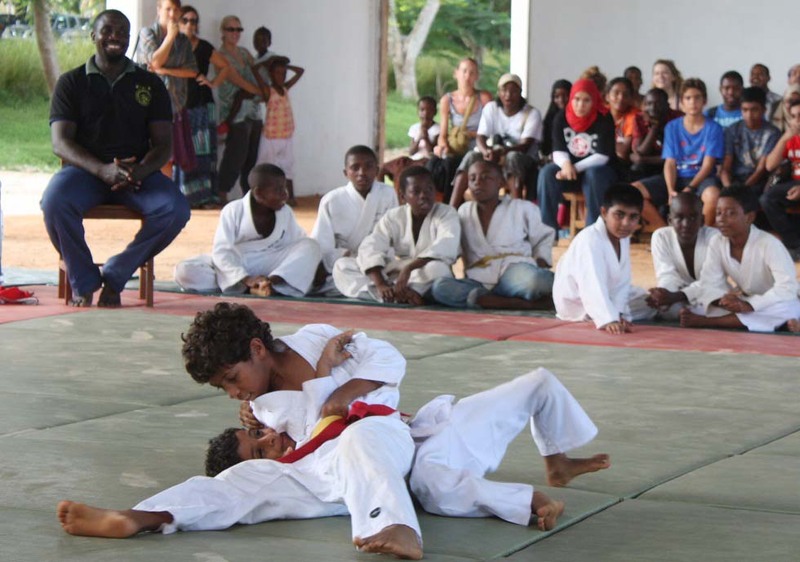 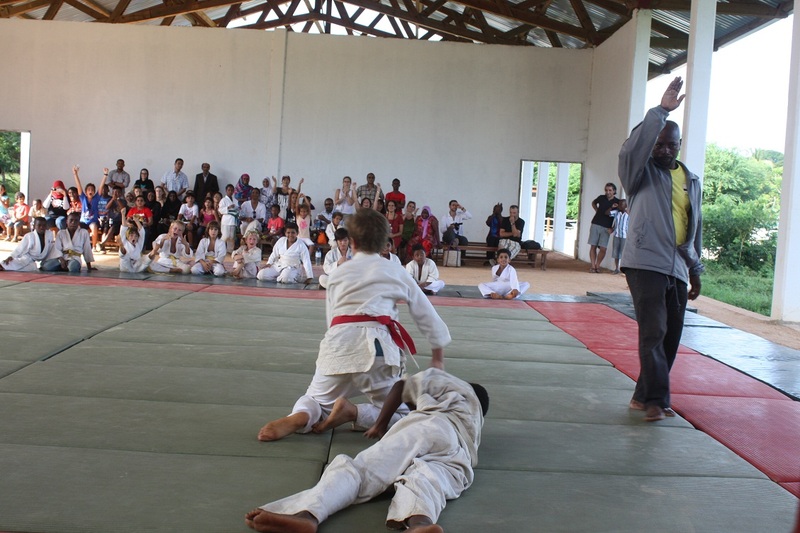 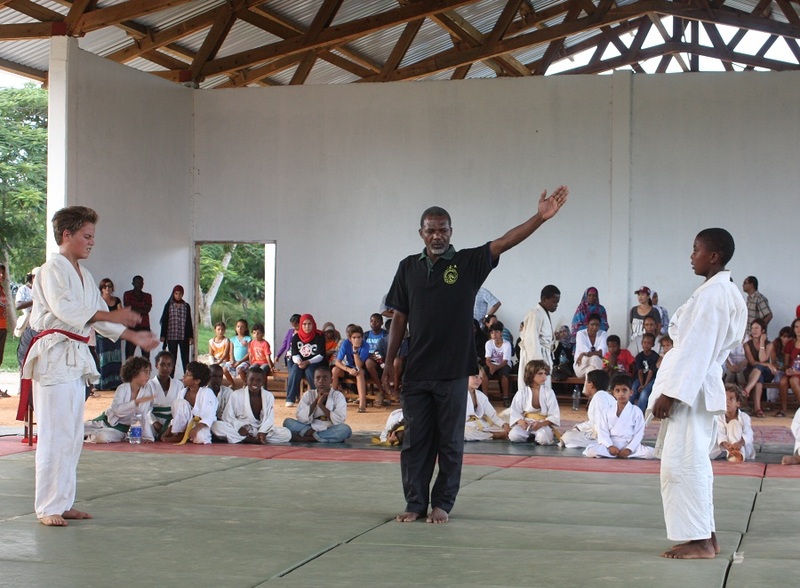 Zanzibar Judo Association　supported　to　organize　Juniour　Judo　Championship　at　Zanzibar　International　school in Buweni Zanzibar on 24/Mar/2012. 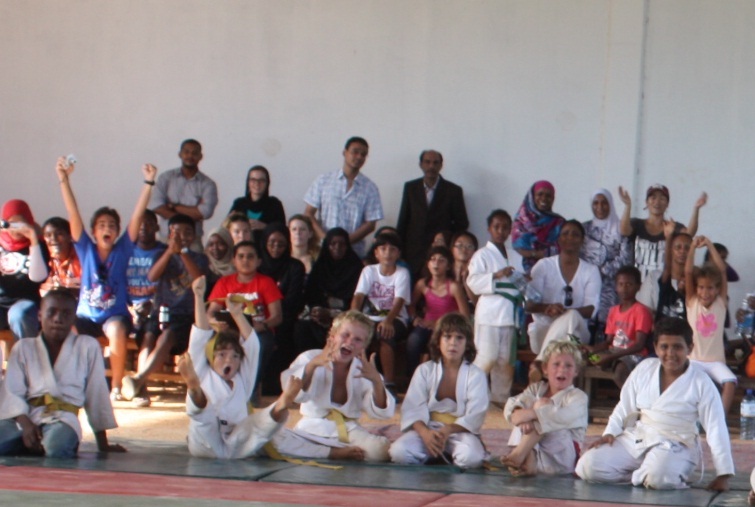 It was the memorial event for Abubakal Saleh who was Judo instractor of Zanzibar International School and had gone two monthes before. 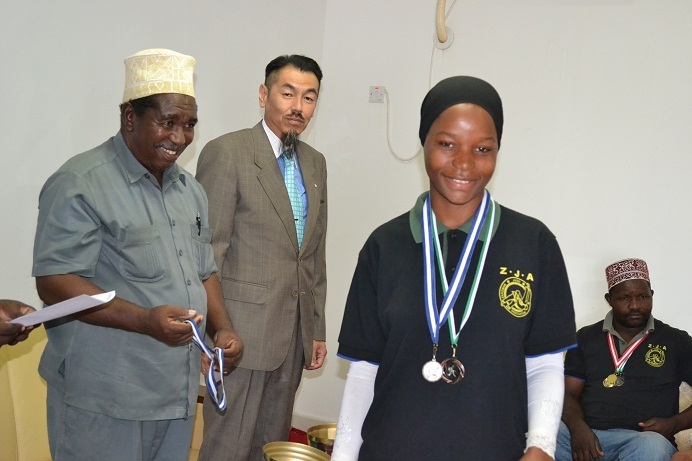 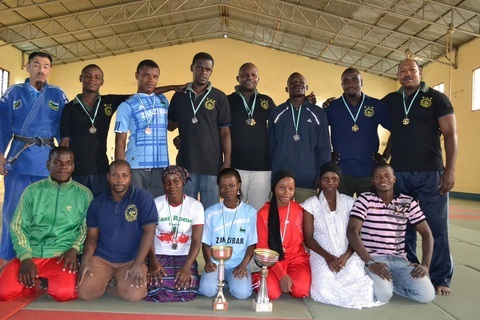 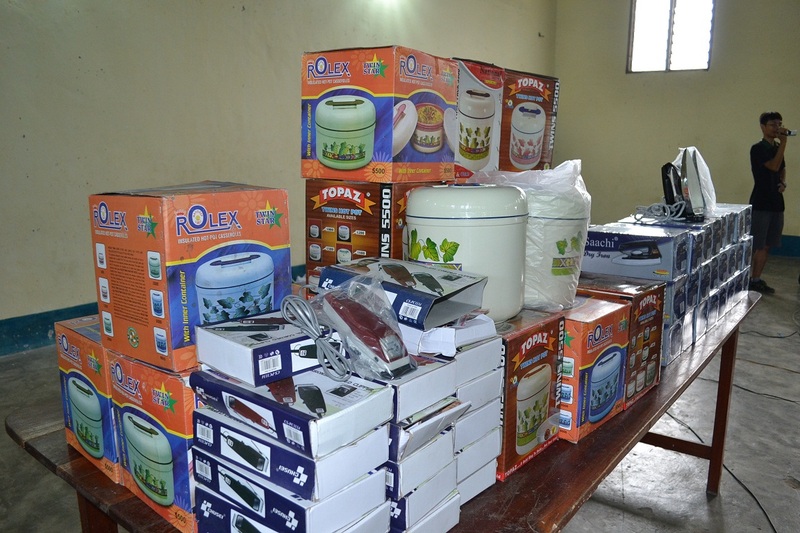 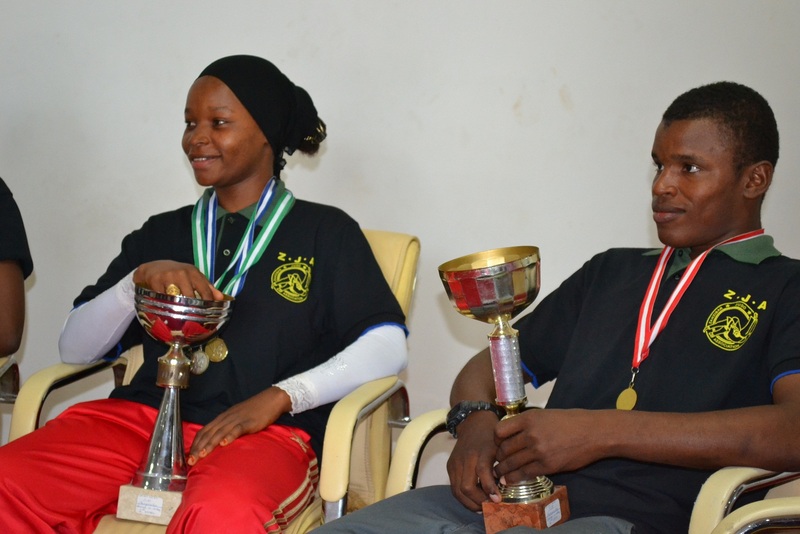 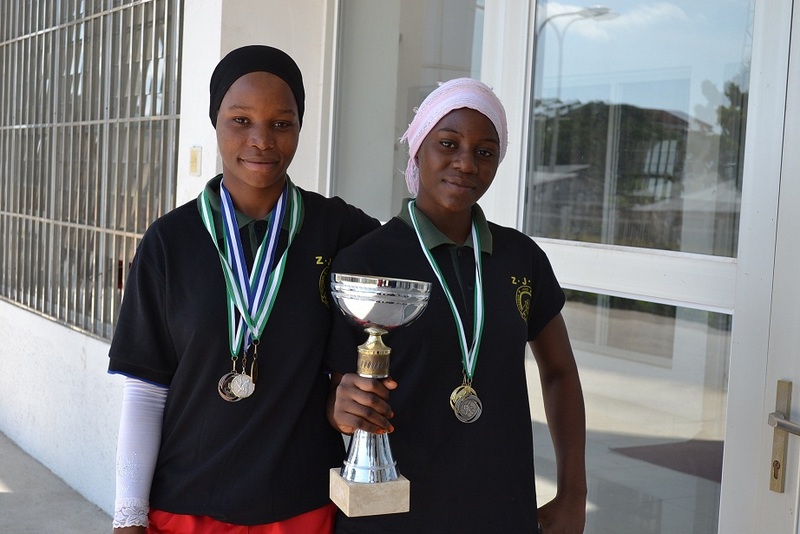 Participators were 28, 26from Zanzibar International school and 2 from Zanzibar Budokan. 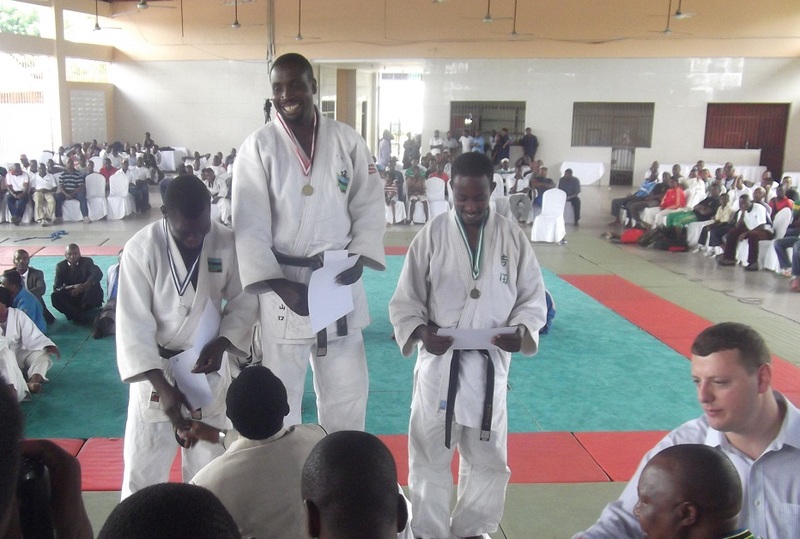 *We shall never forget about Abubakar and his Judo spririt.